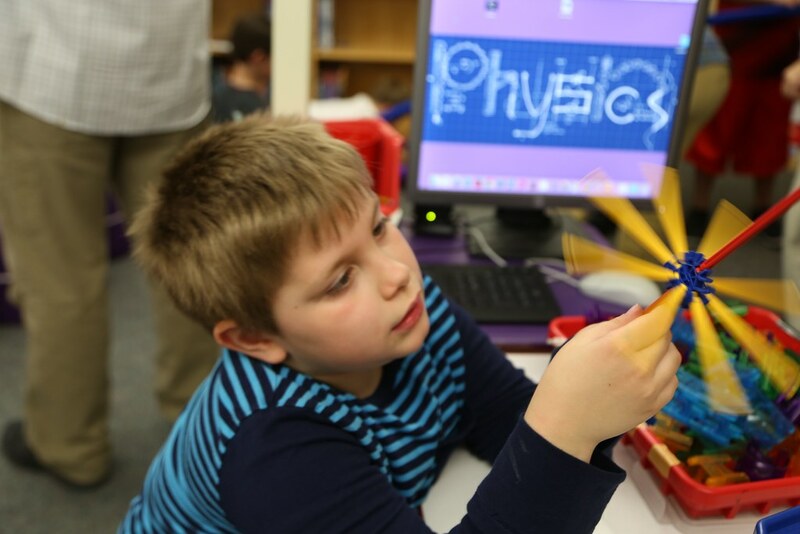 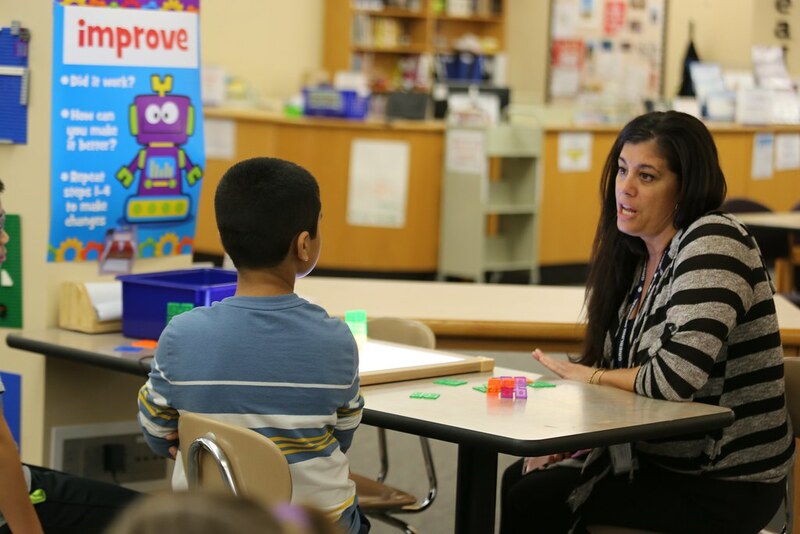 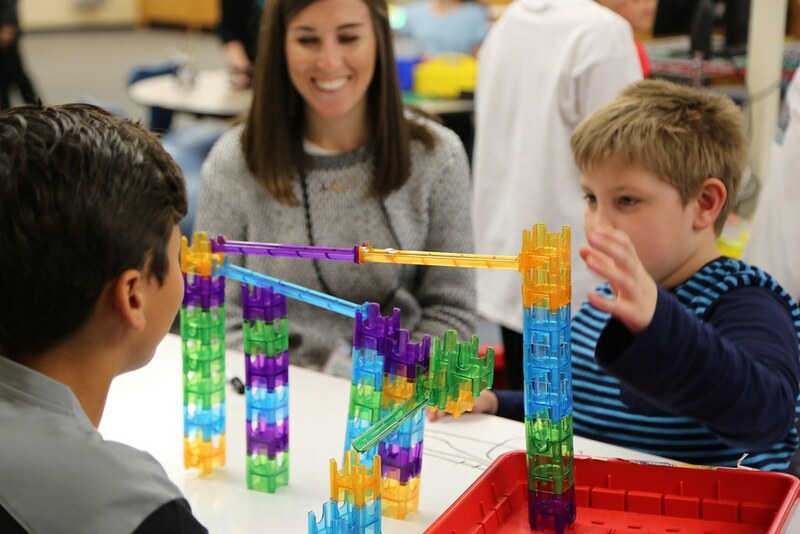 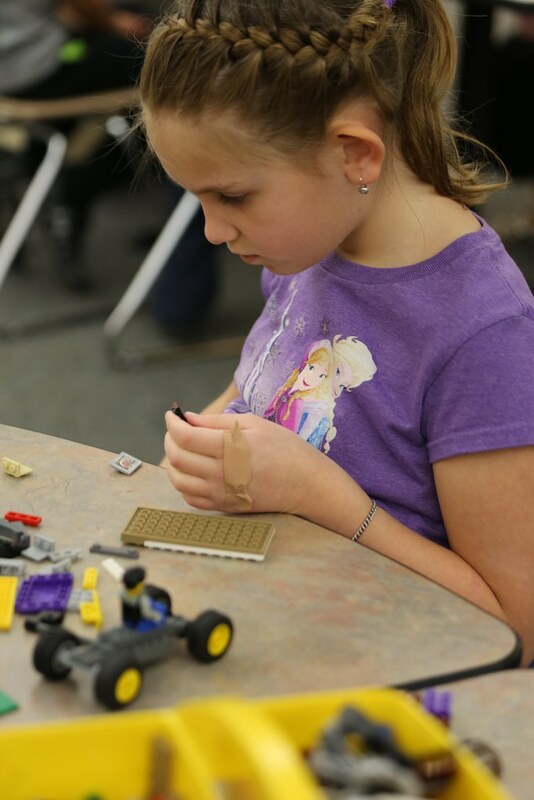 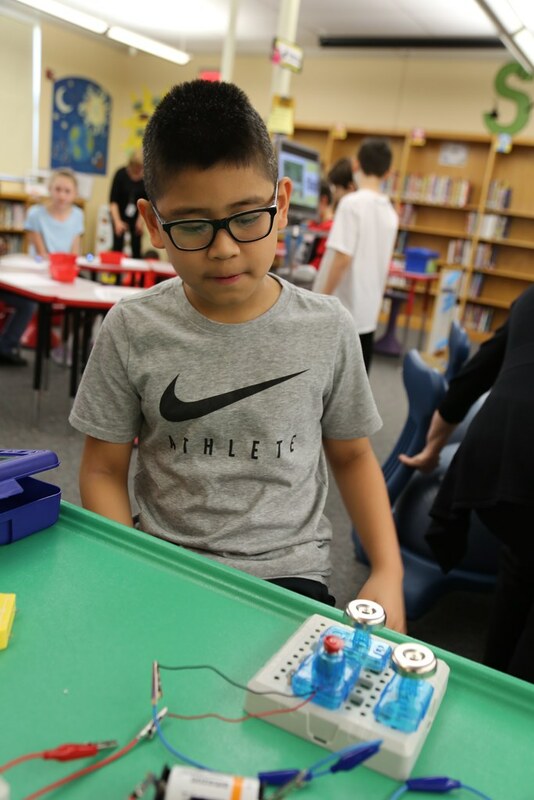 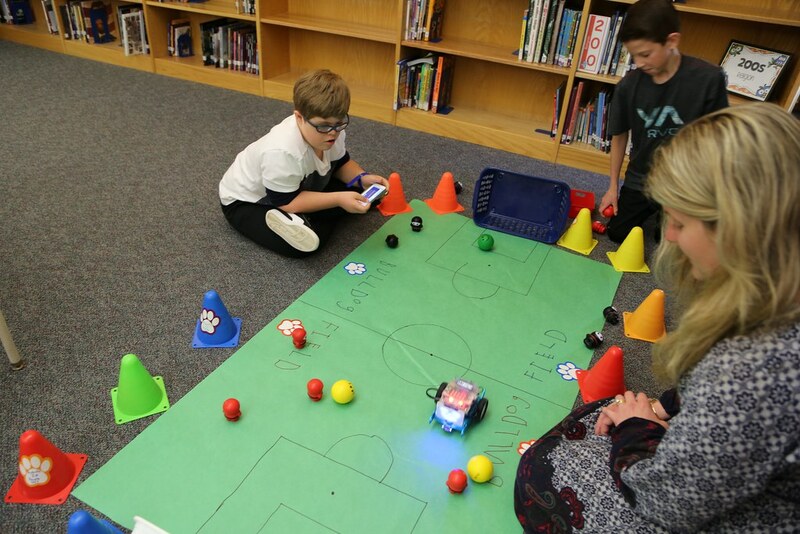 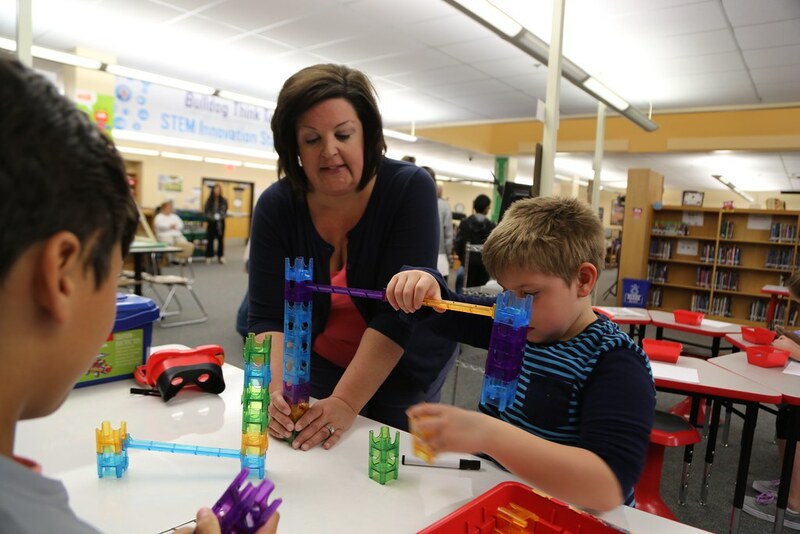 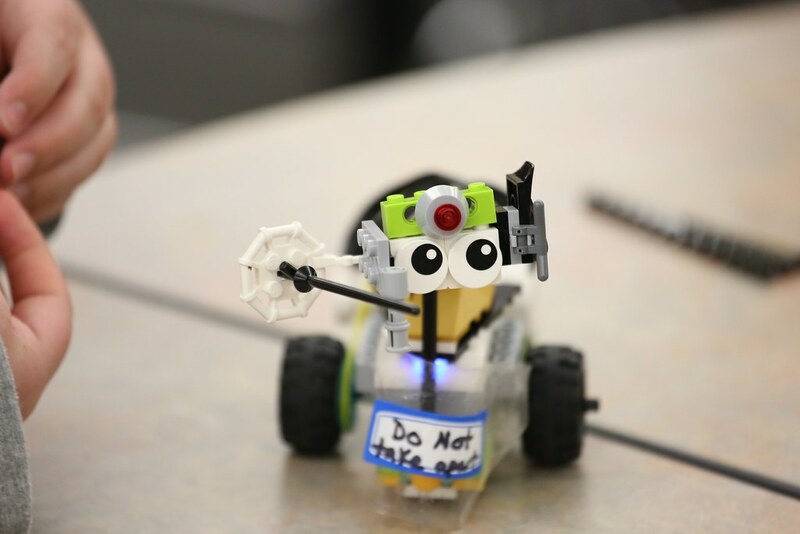 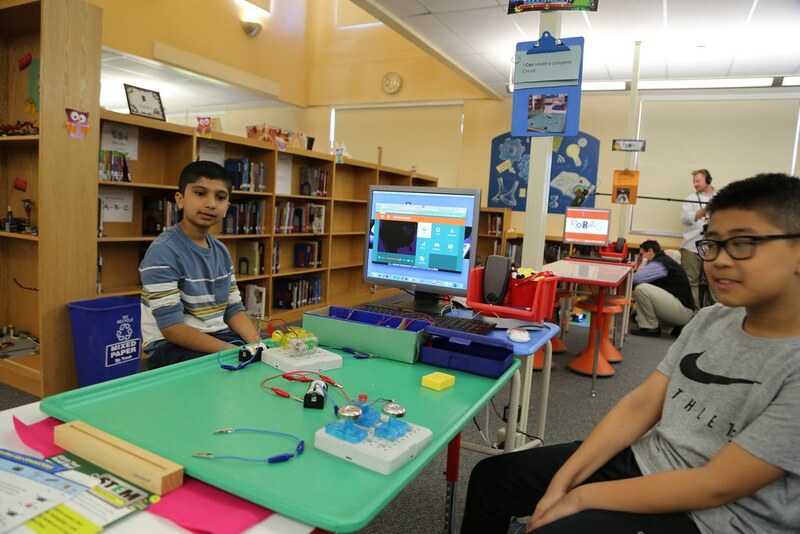 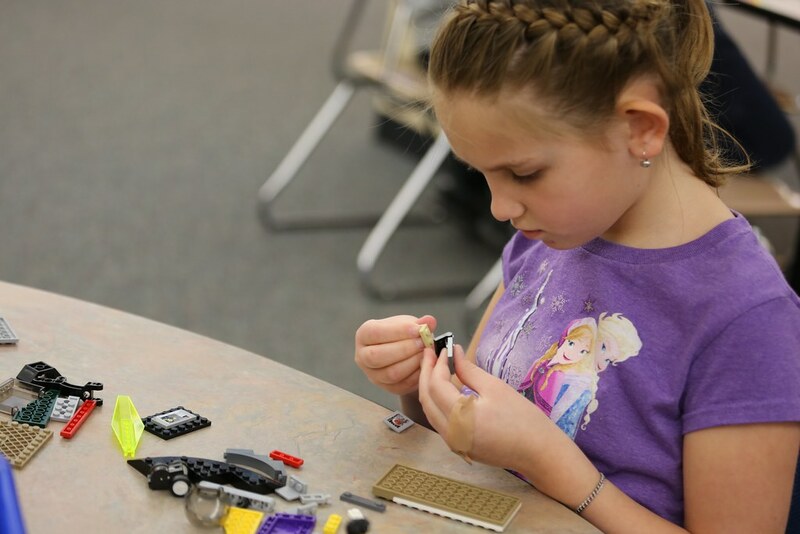 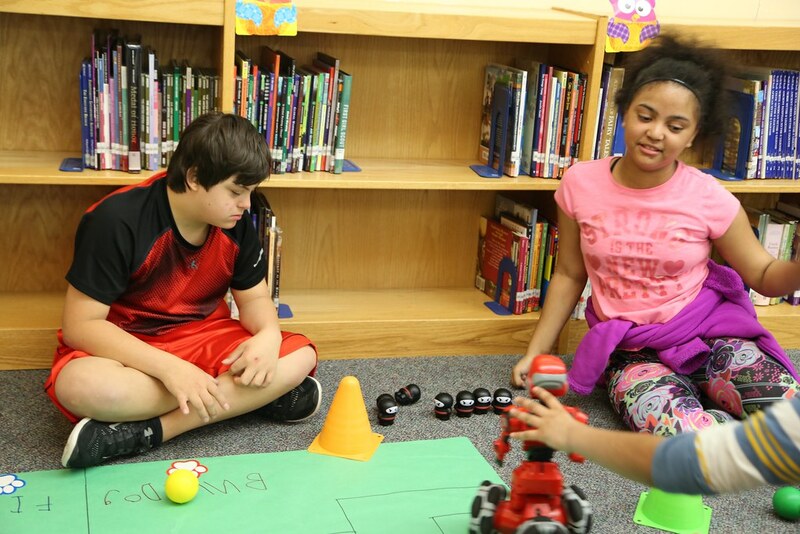 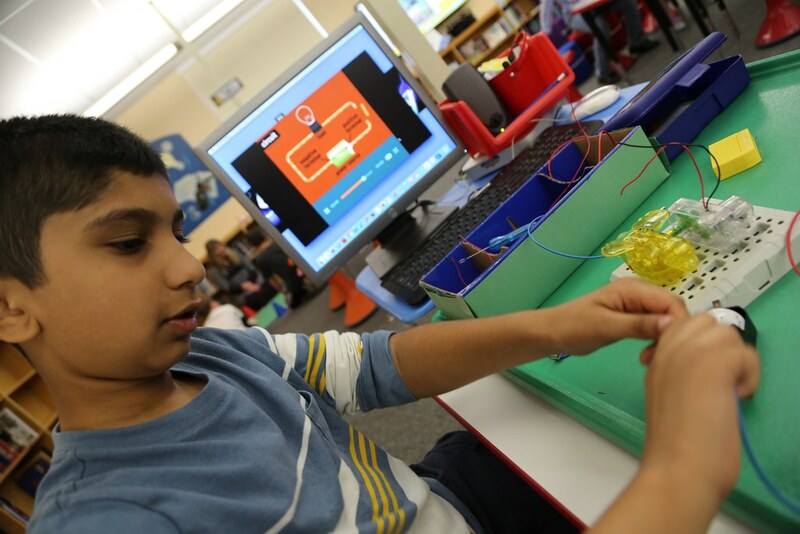 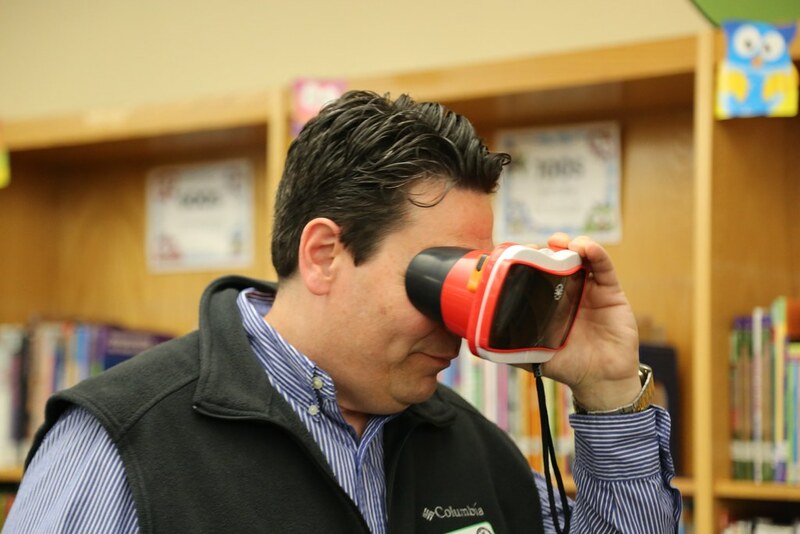 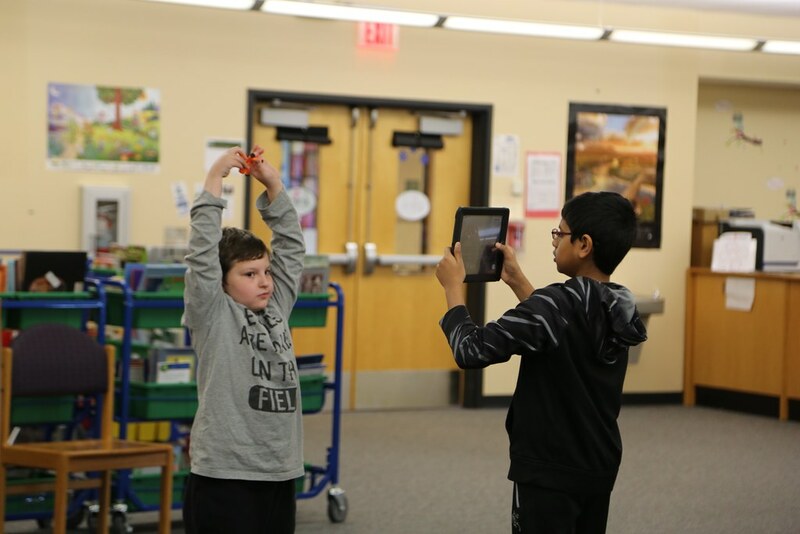 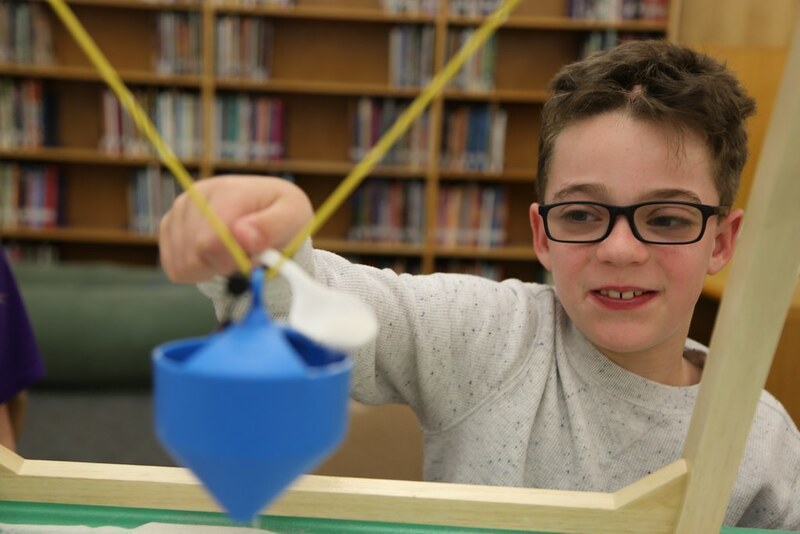 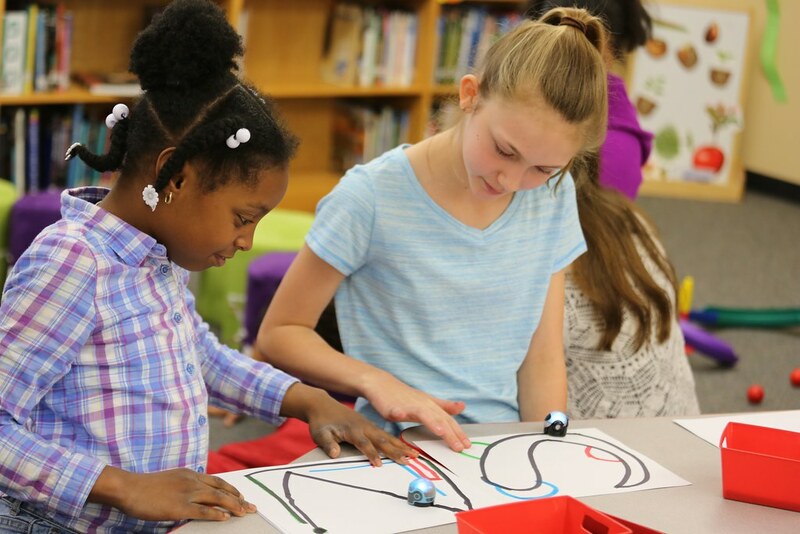 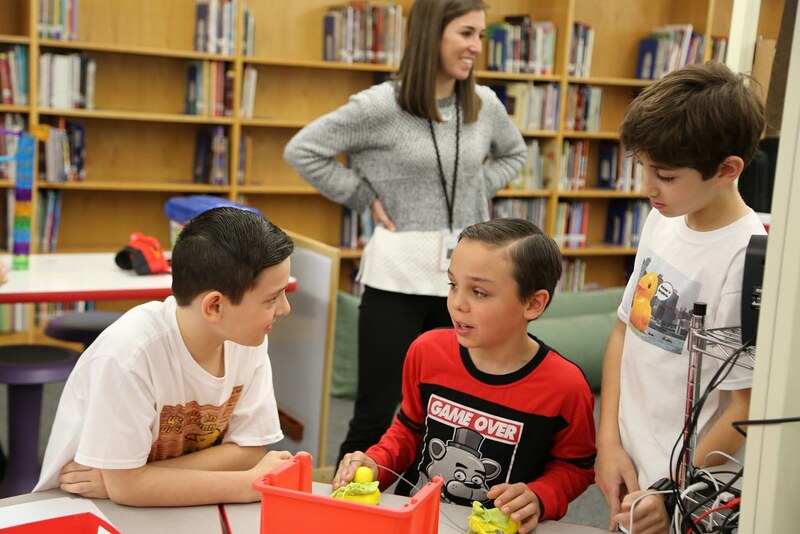 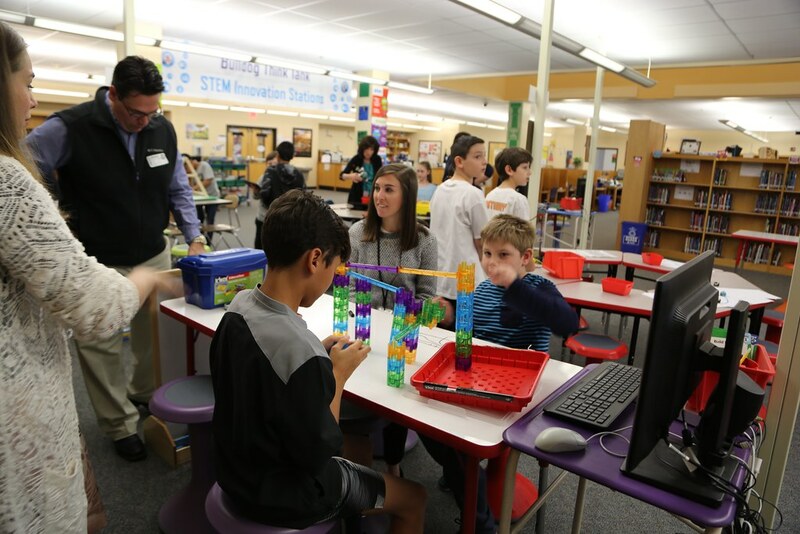 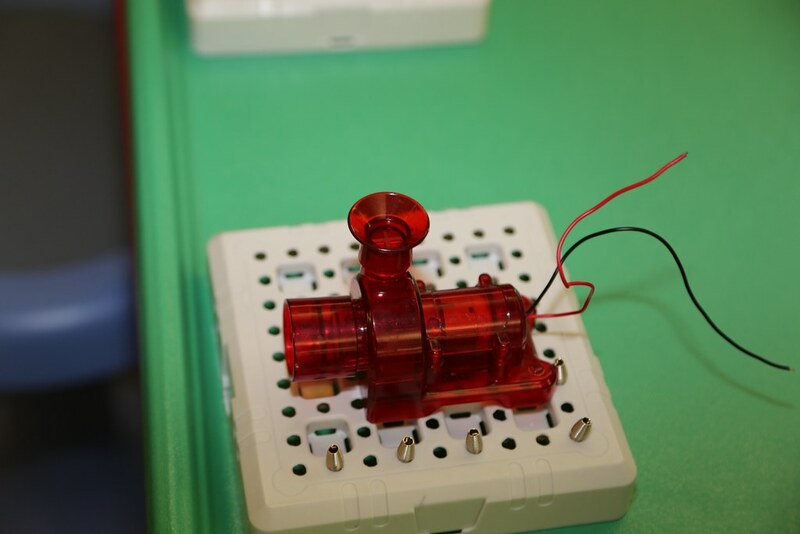 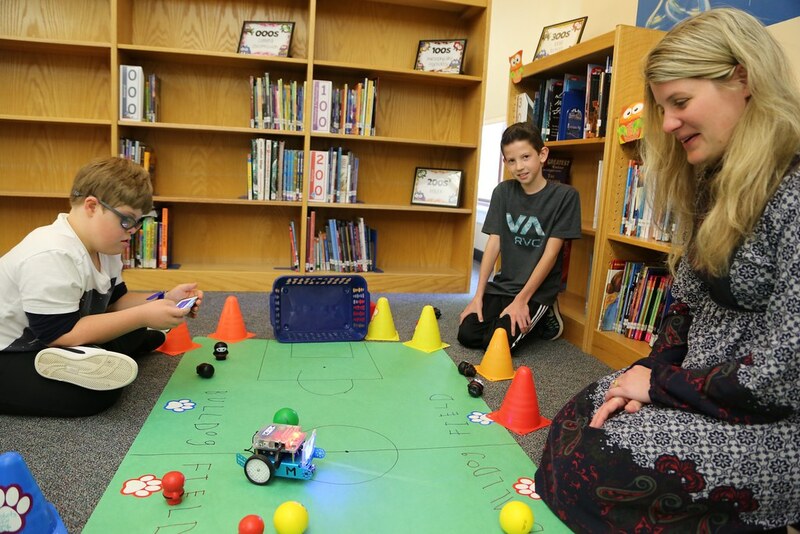 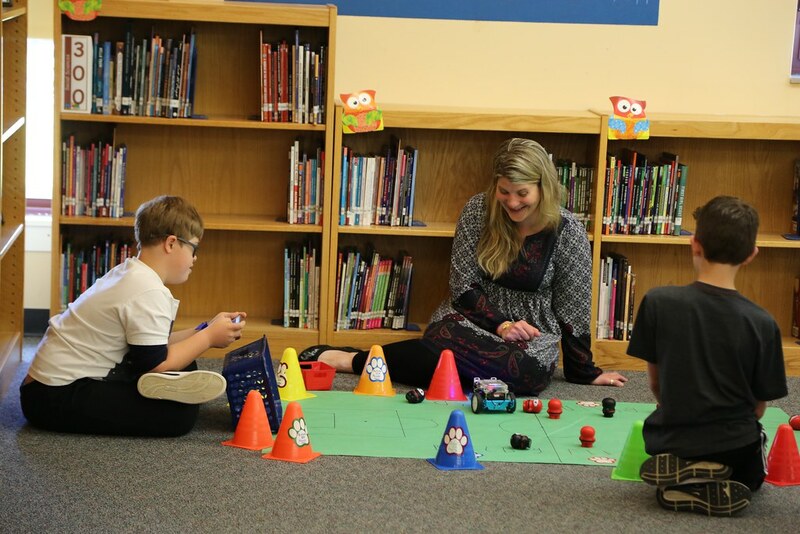 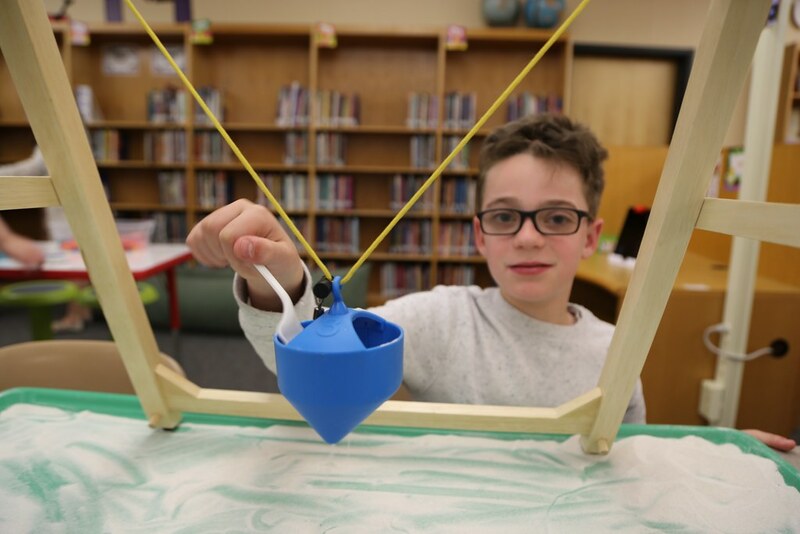 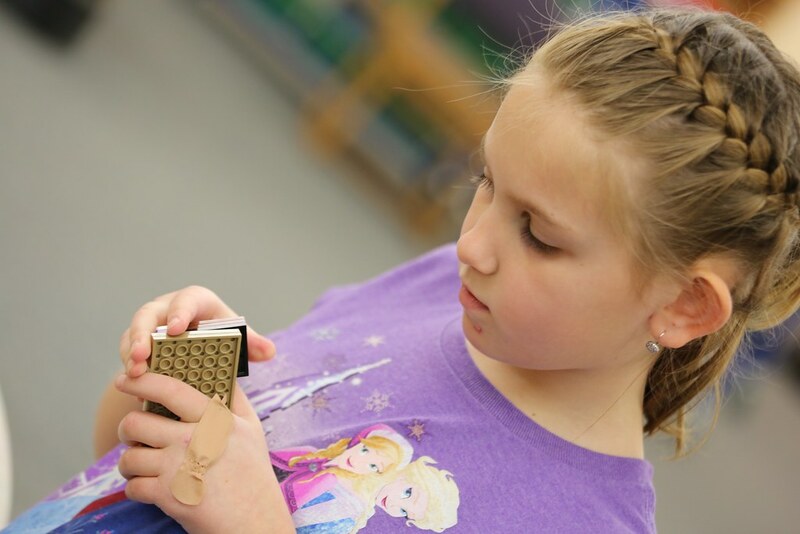 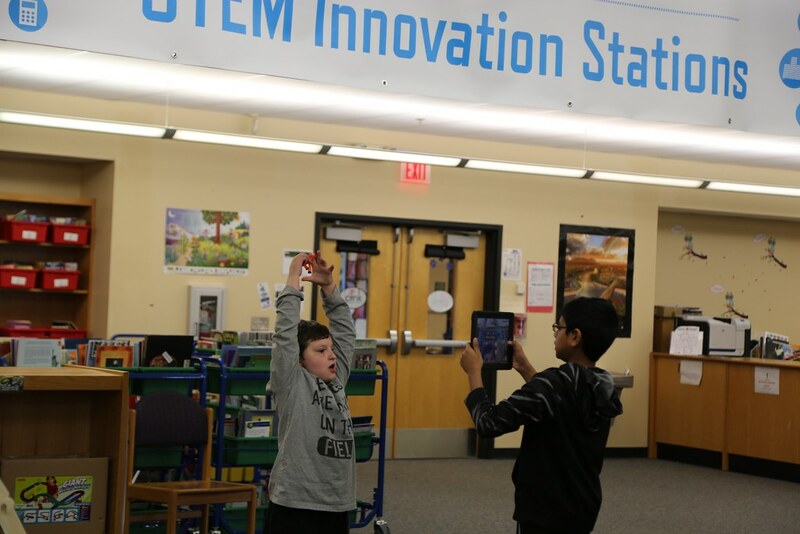 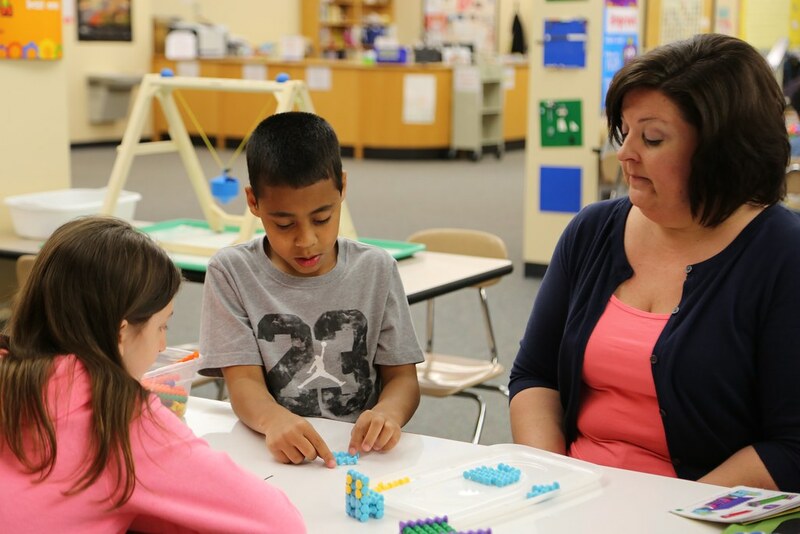 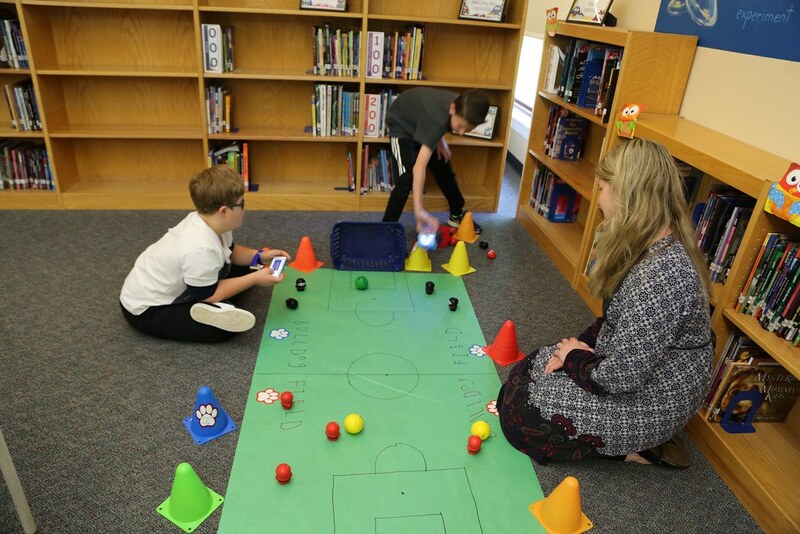 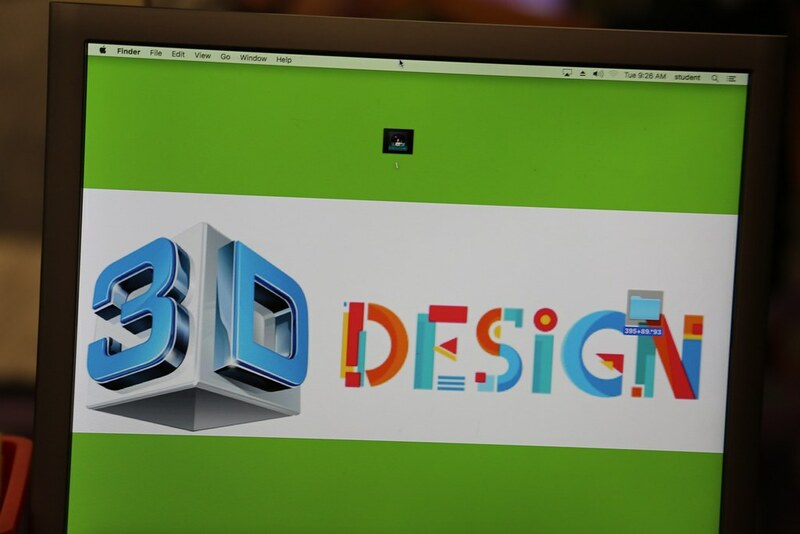 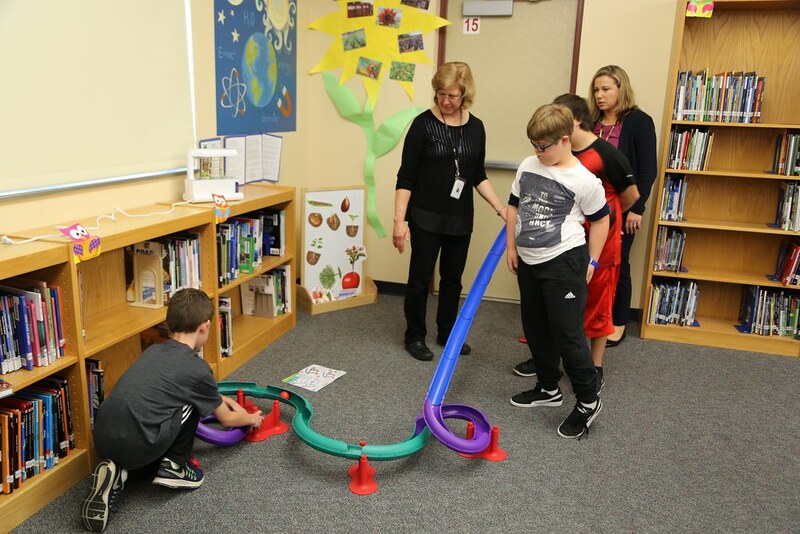 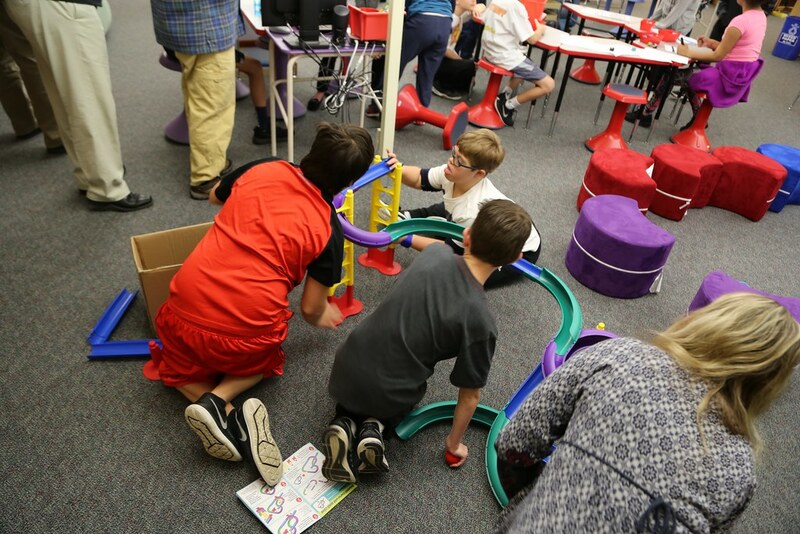 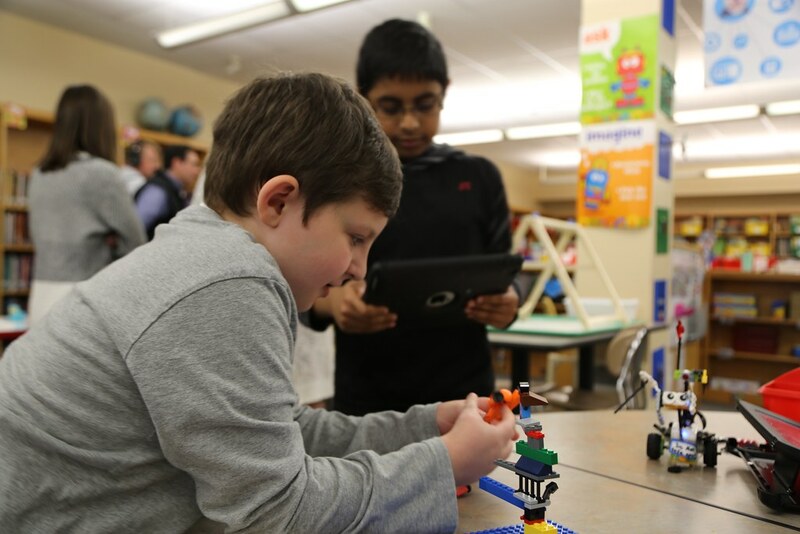 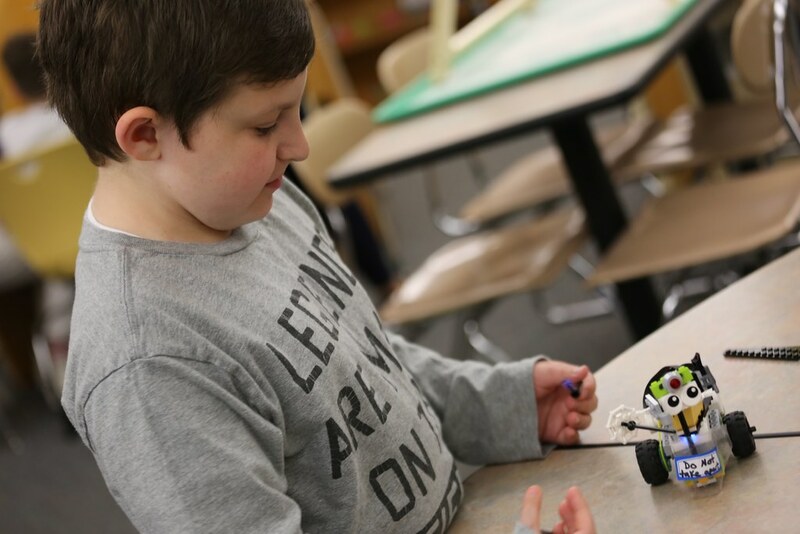 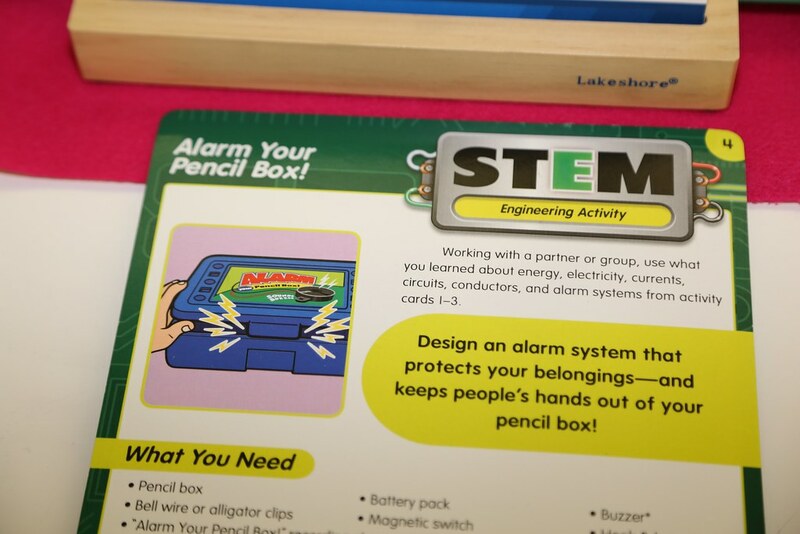 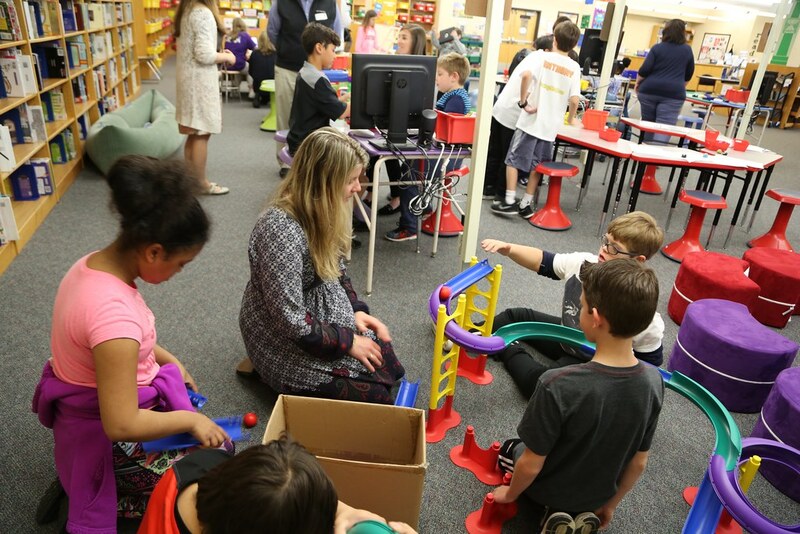 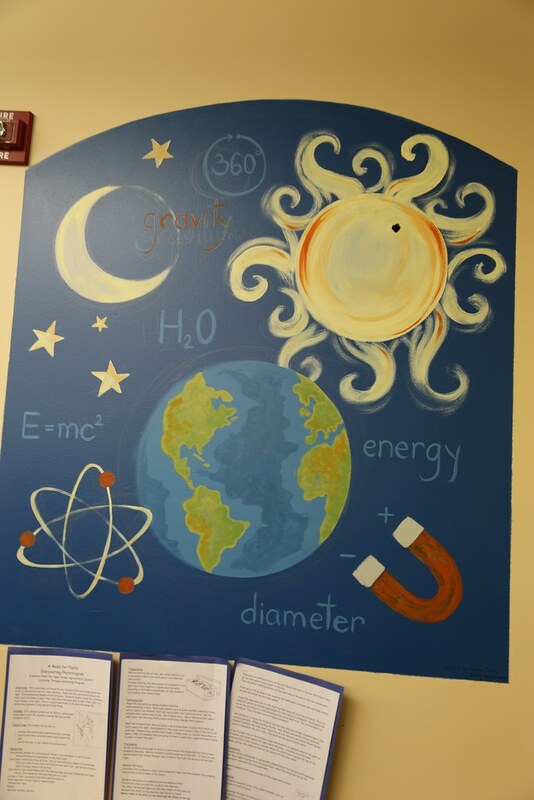 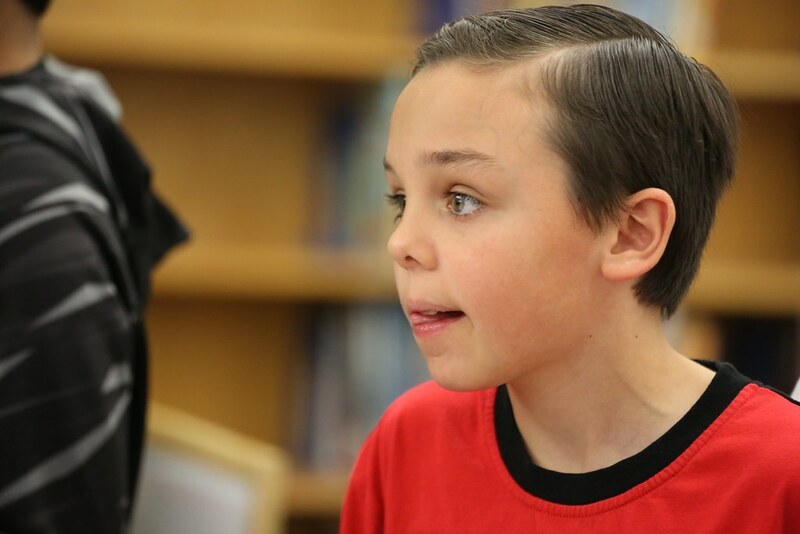 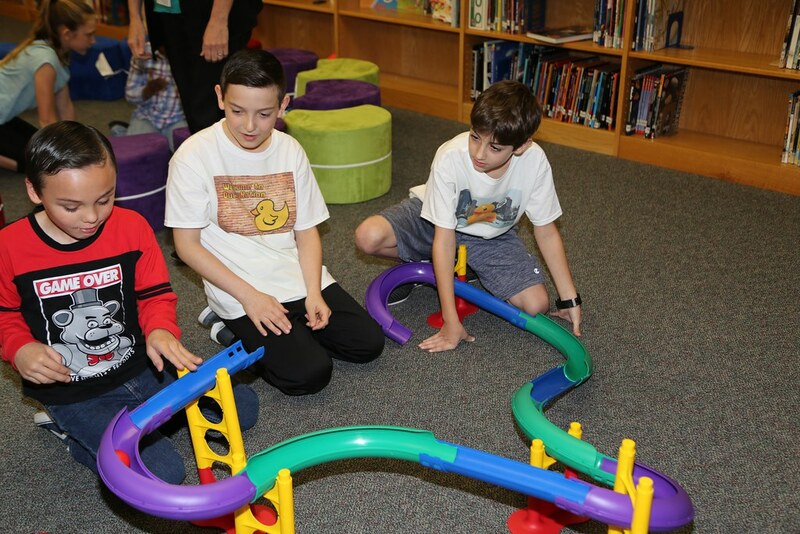 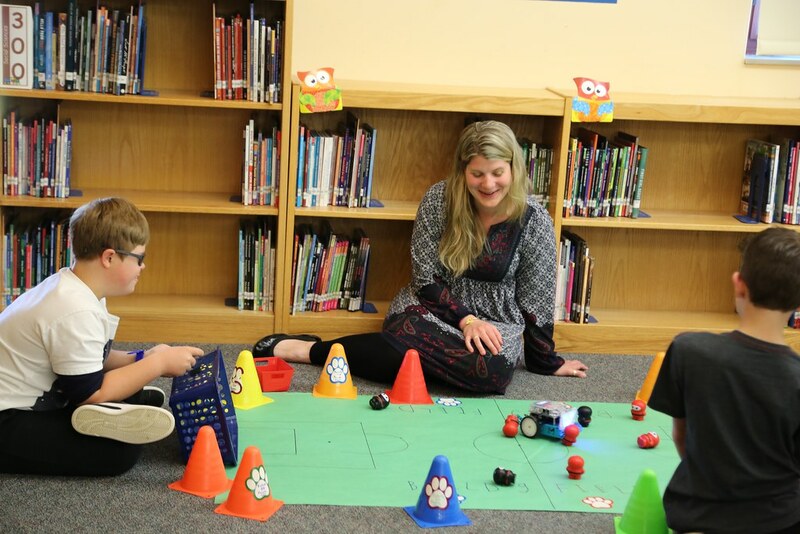 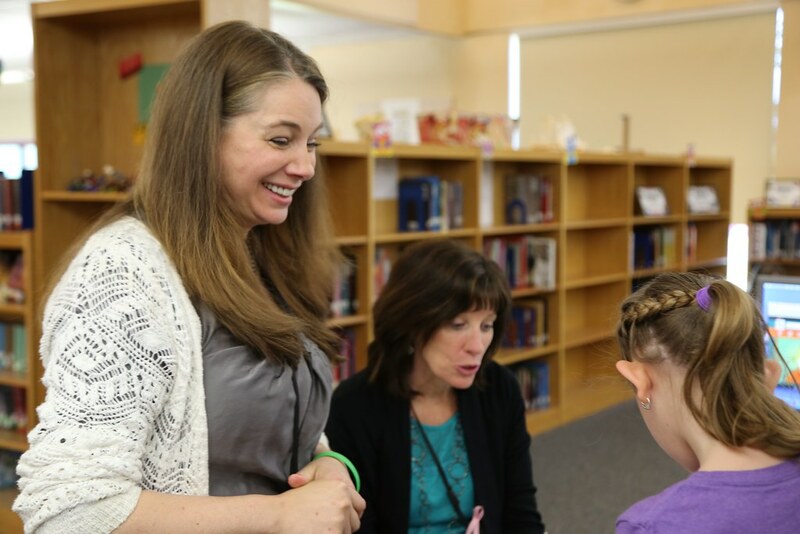 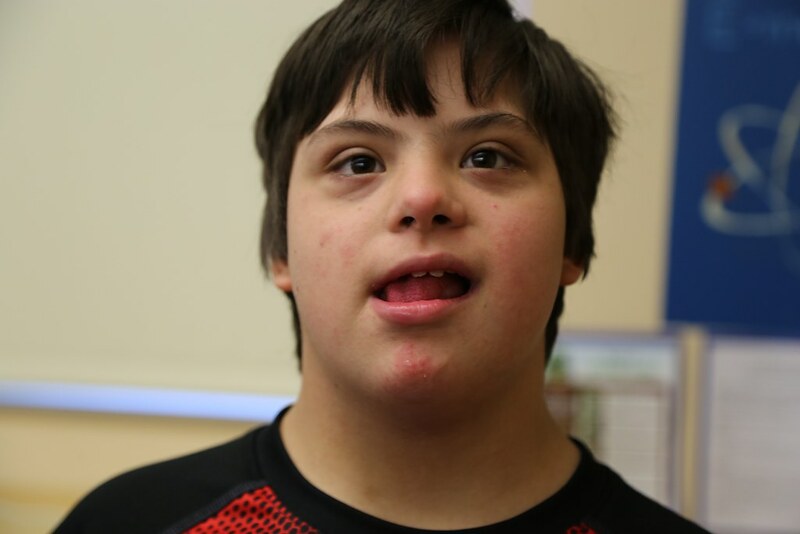 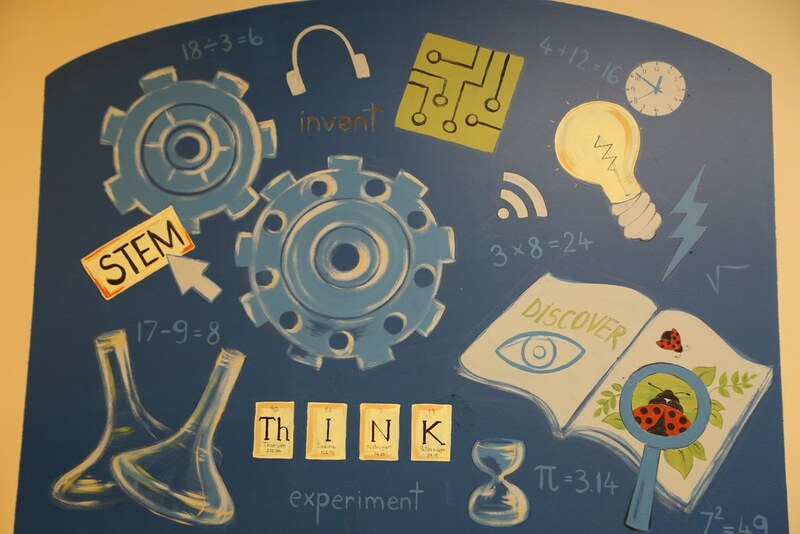 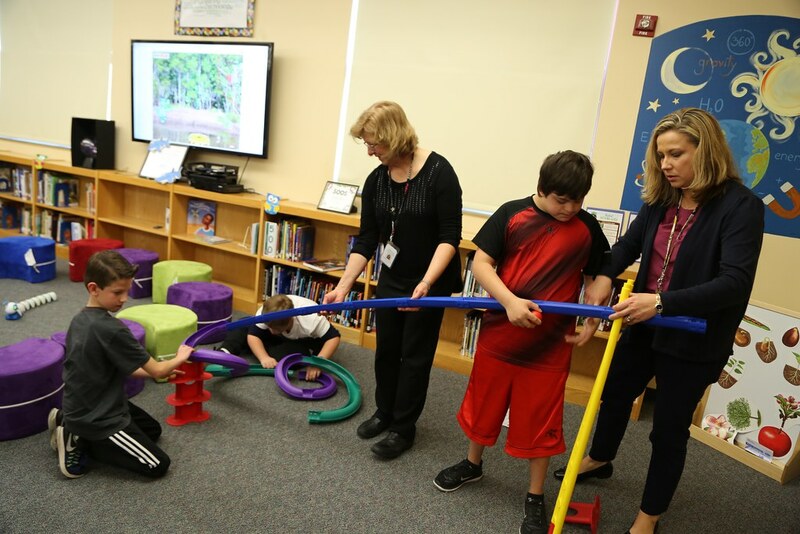 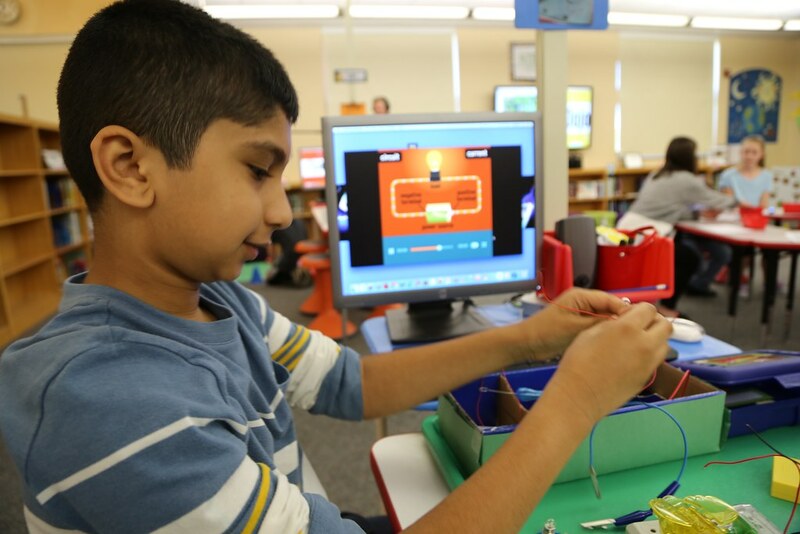 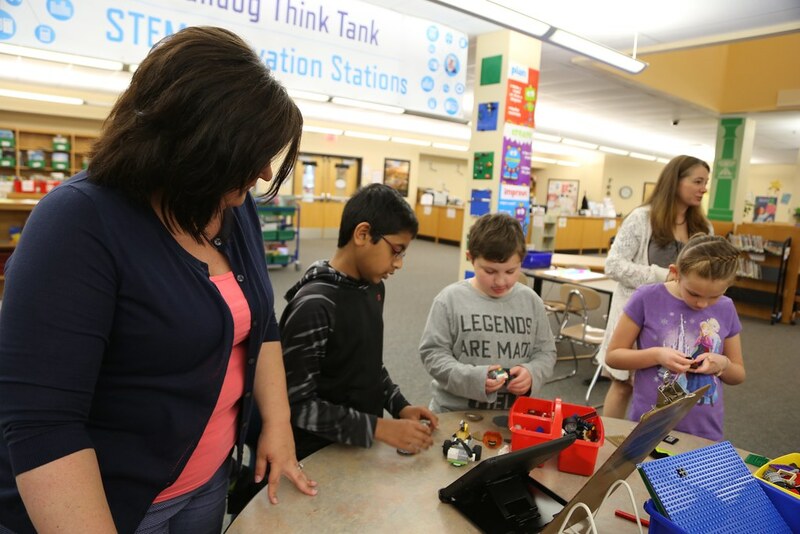 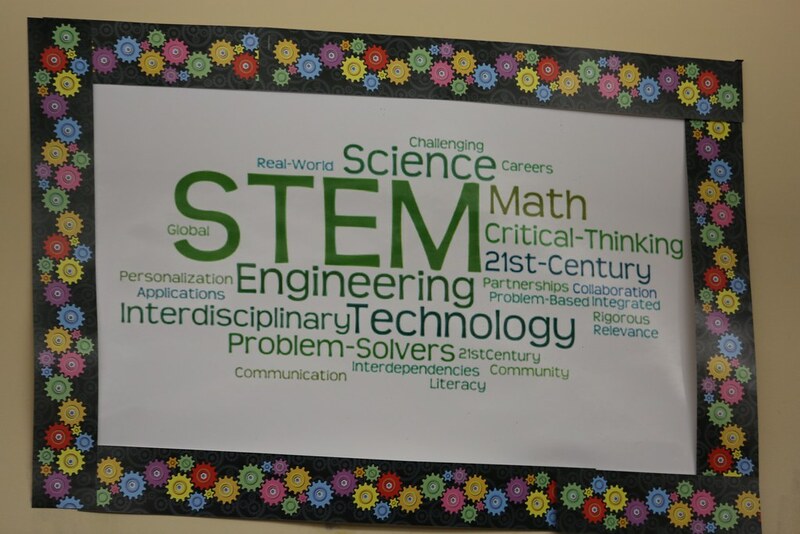 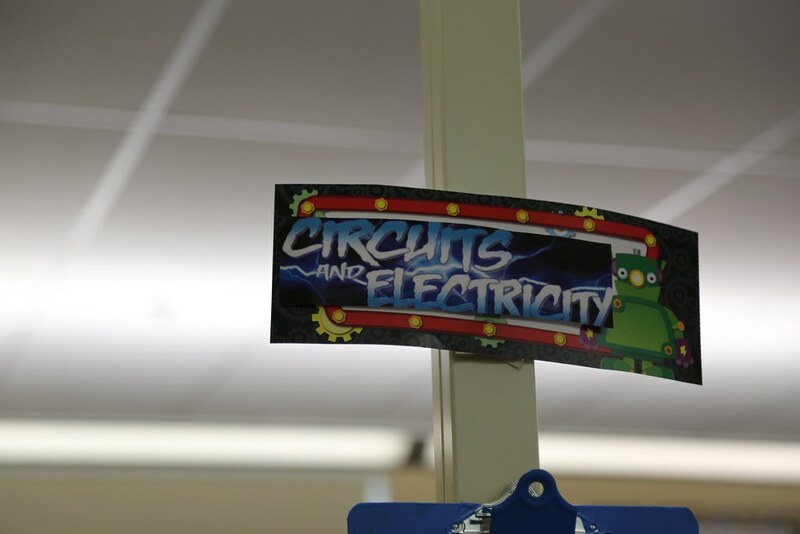 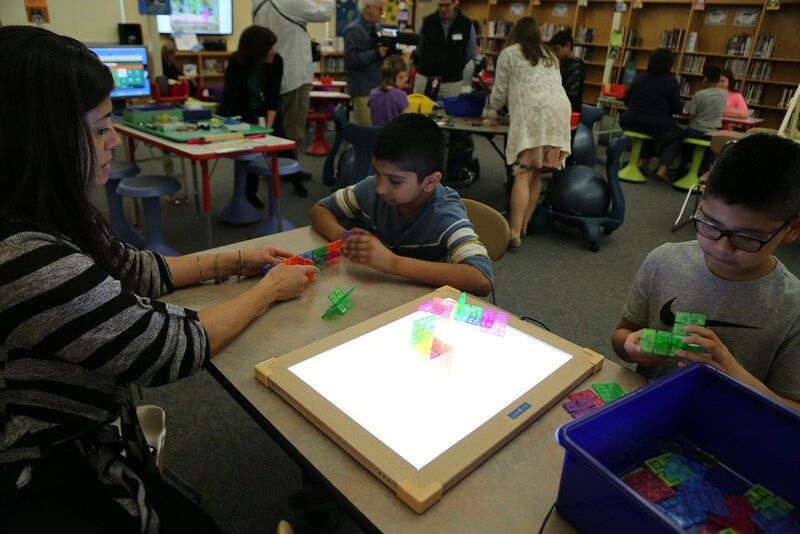 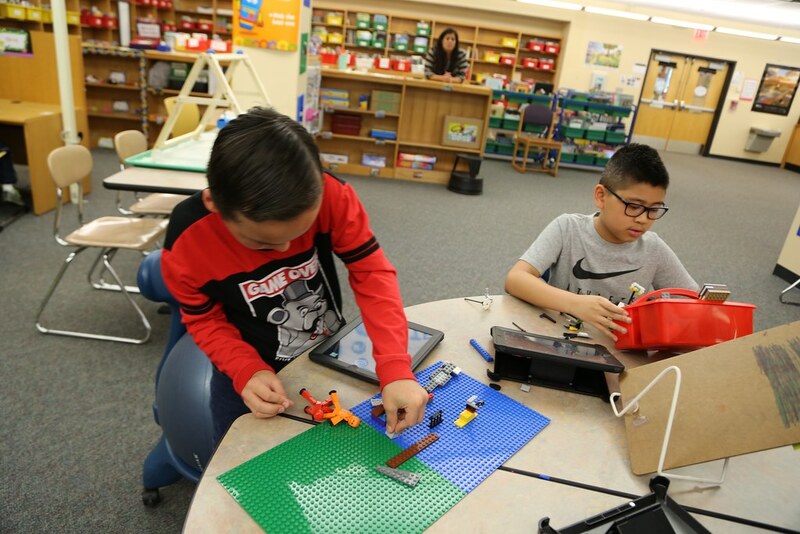 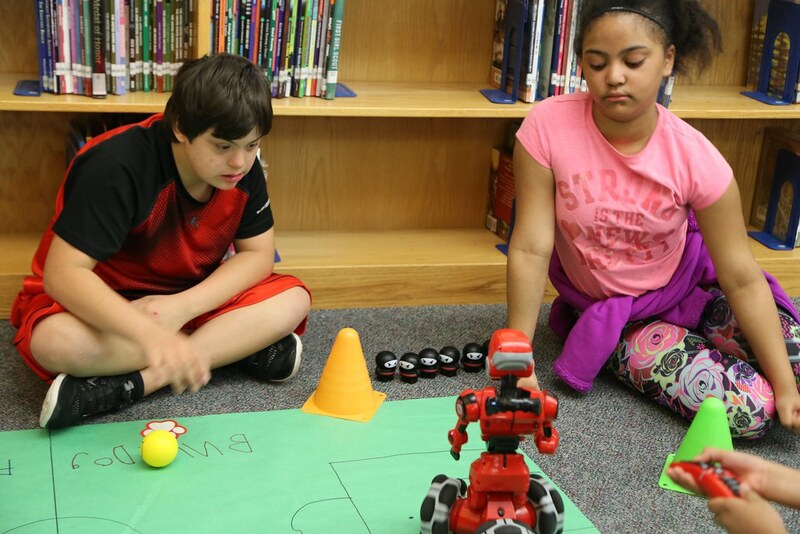 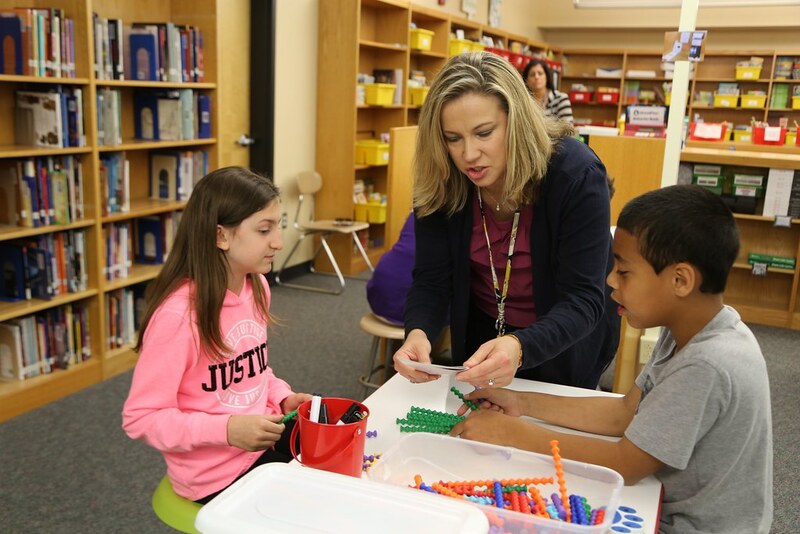 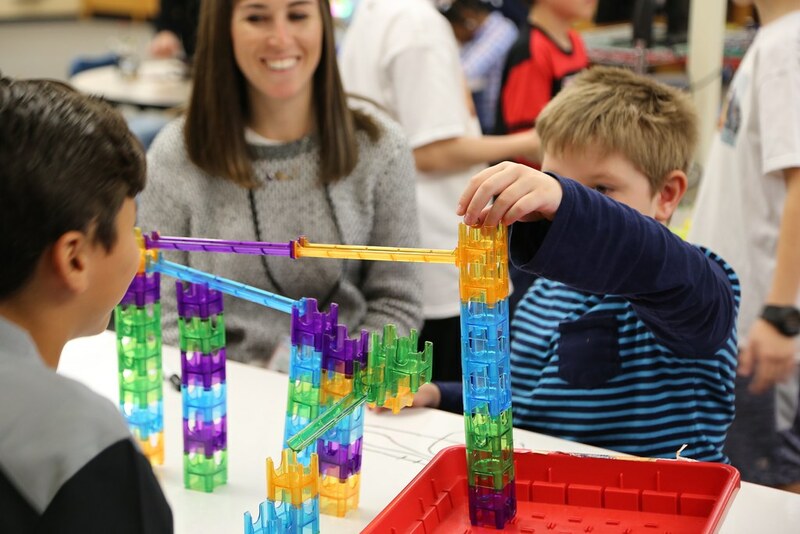 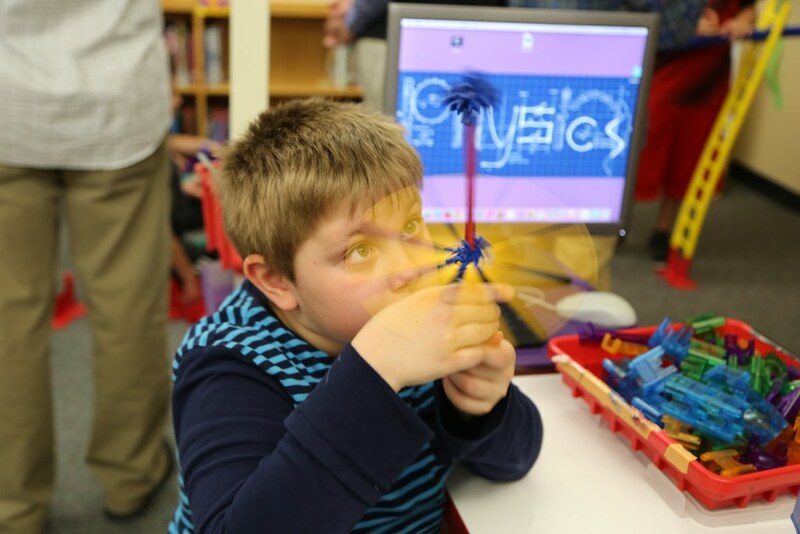 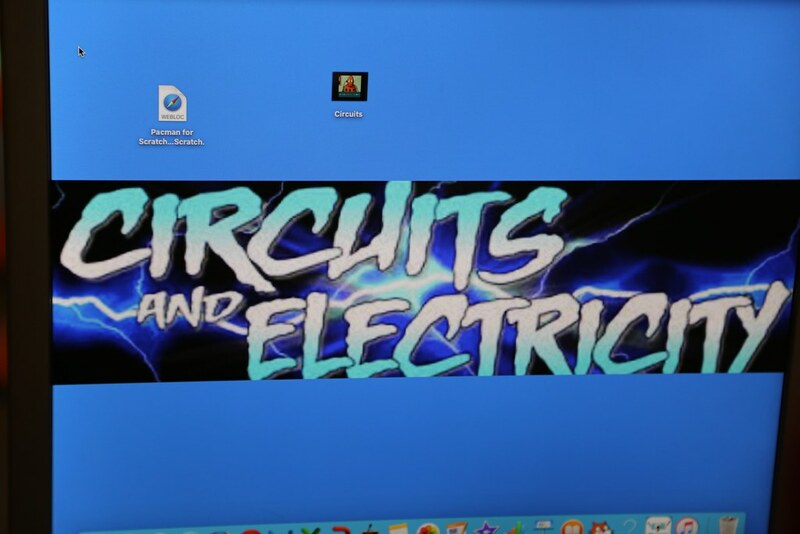 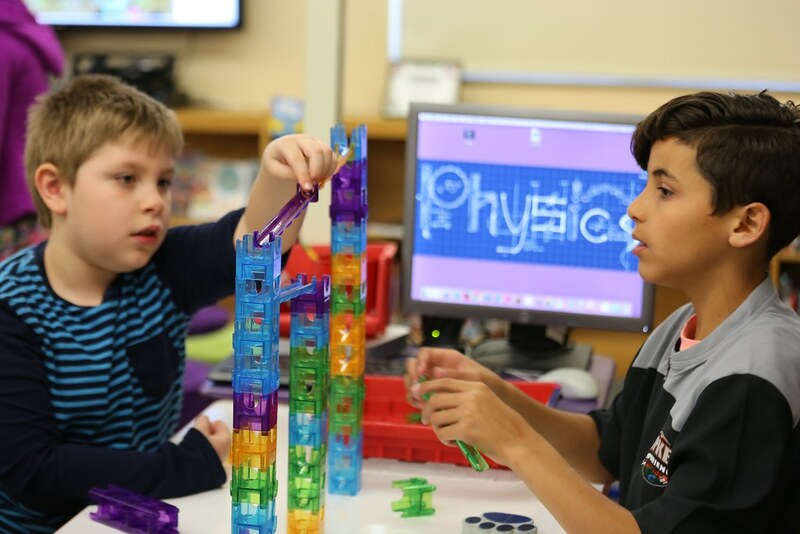 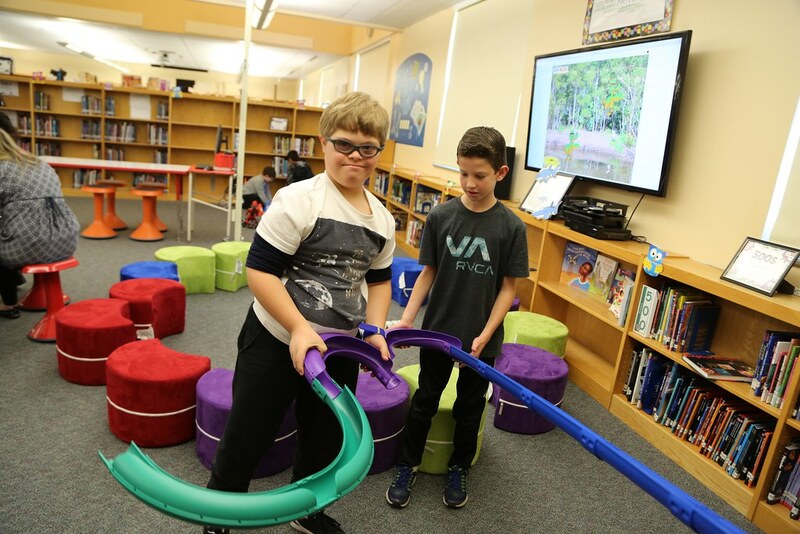 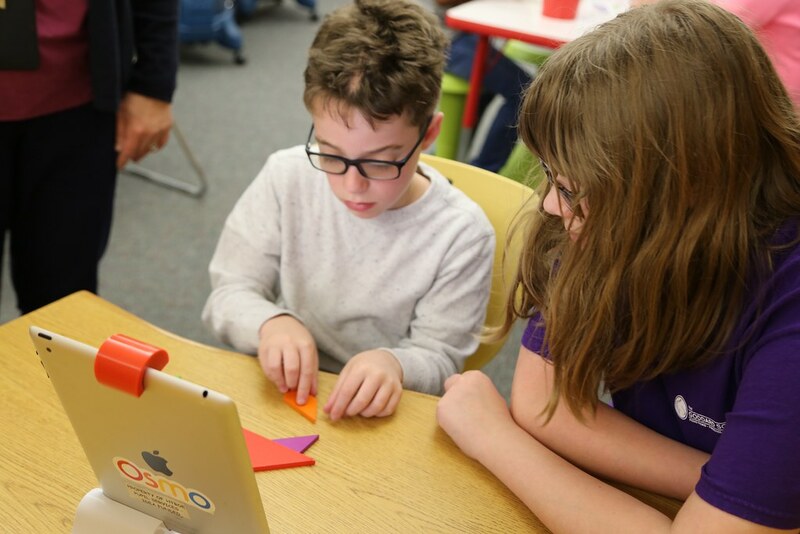 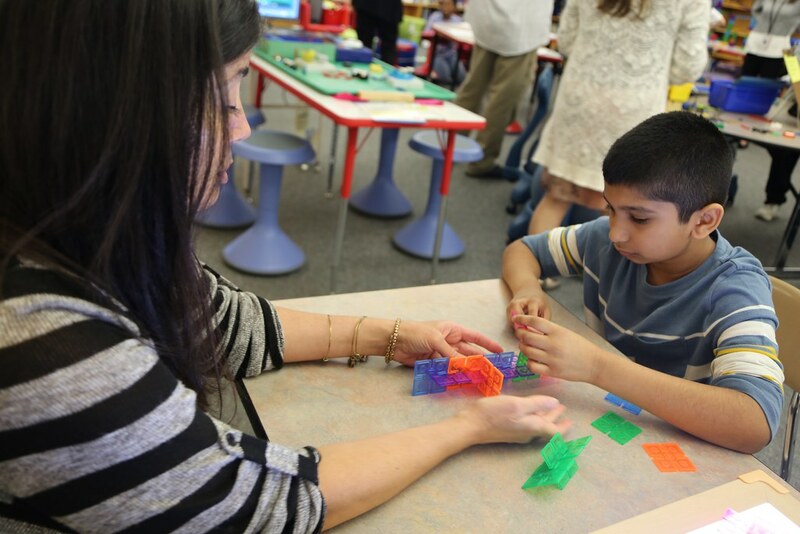 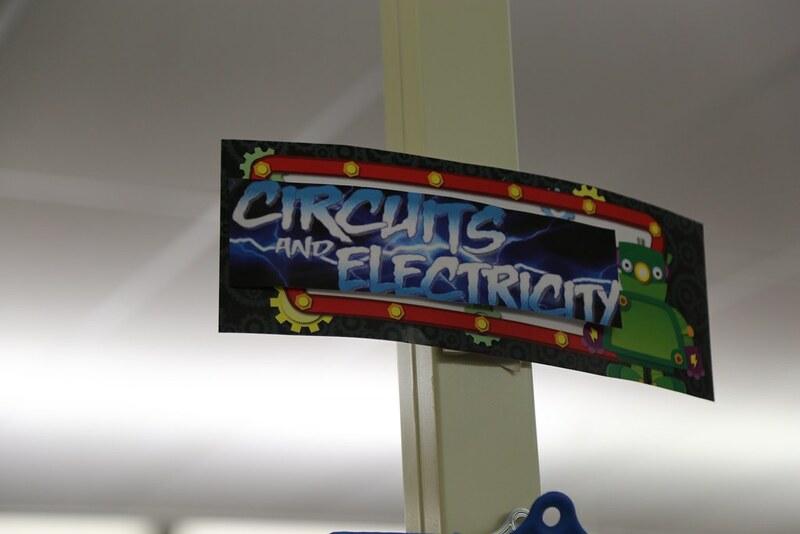 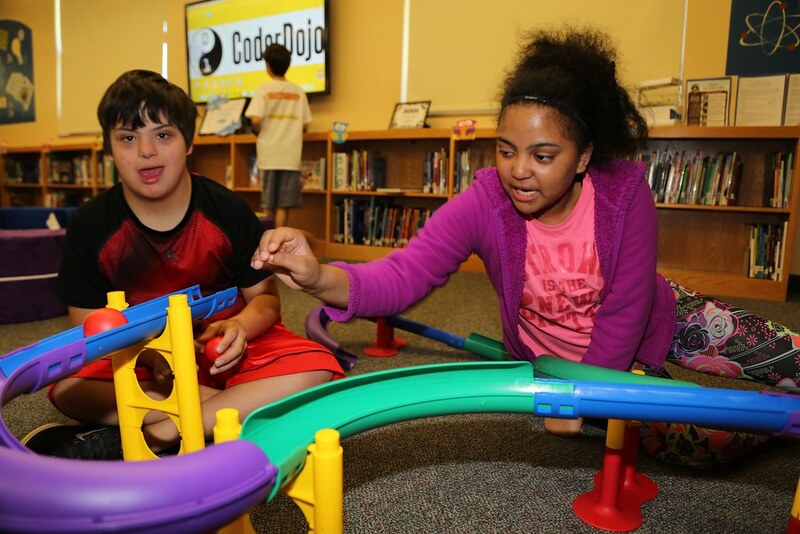 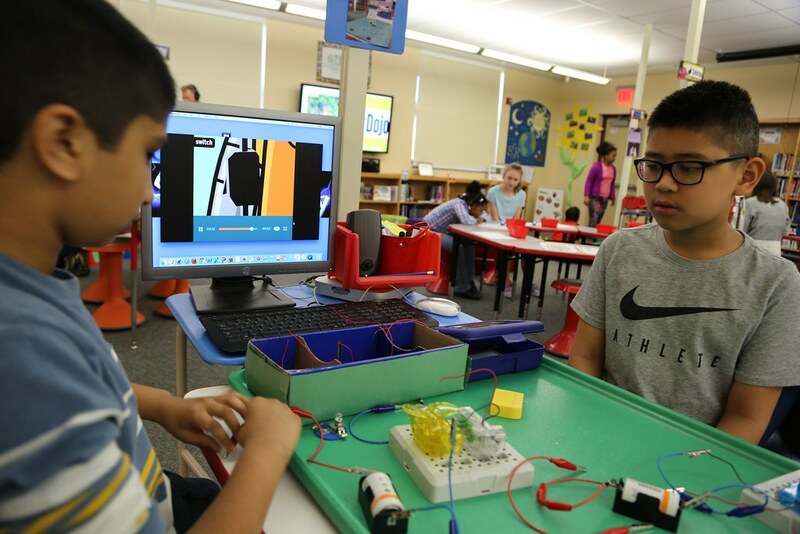 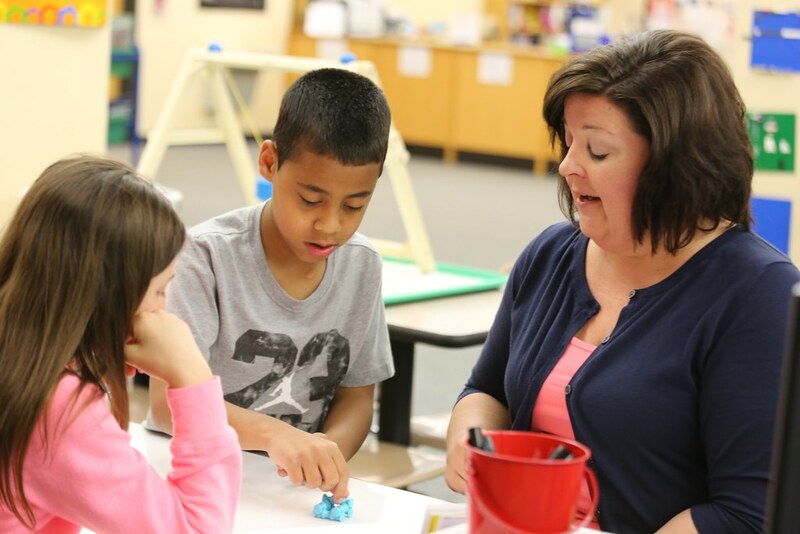 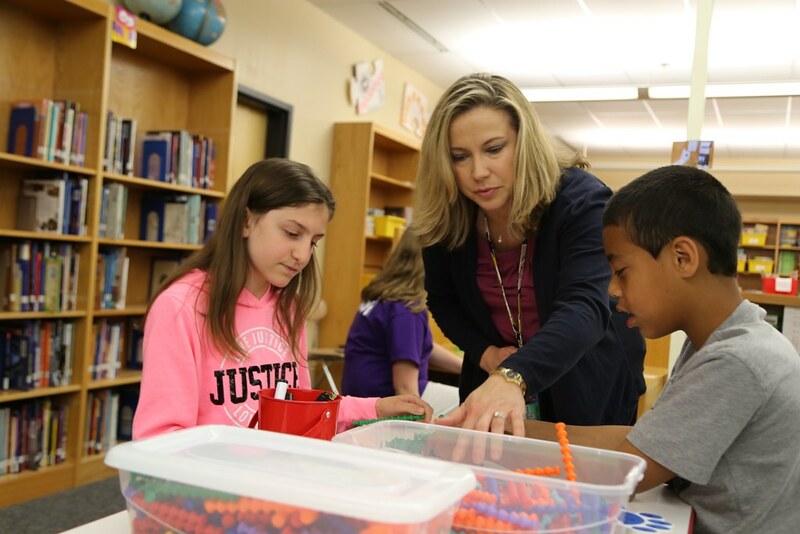 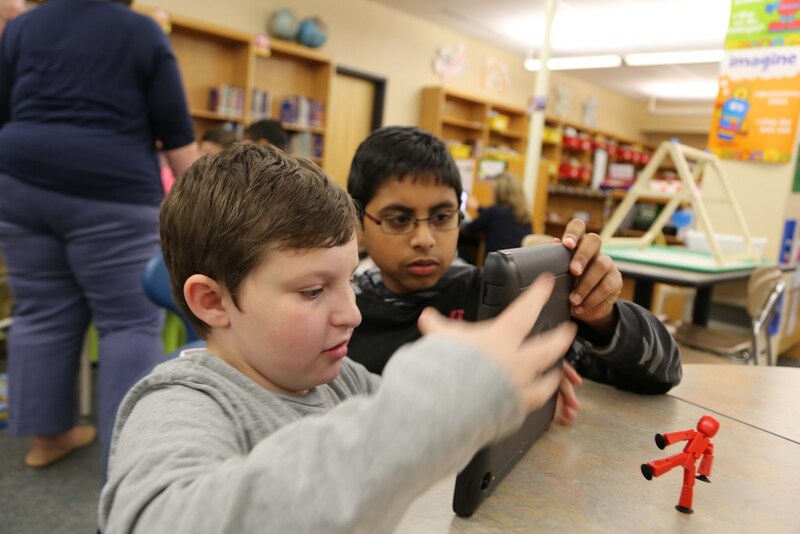 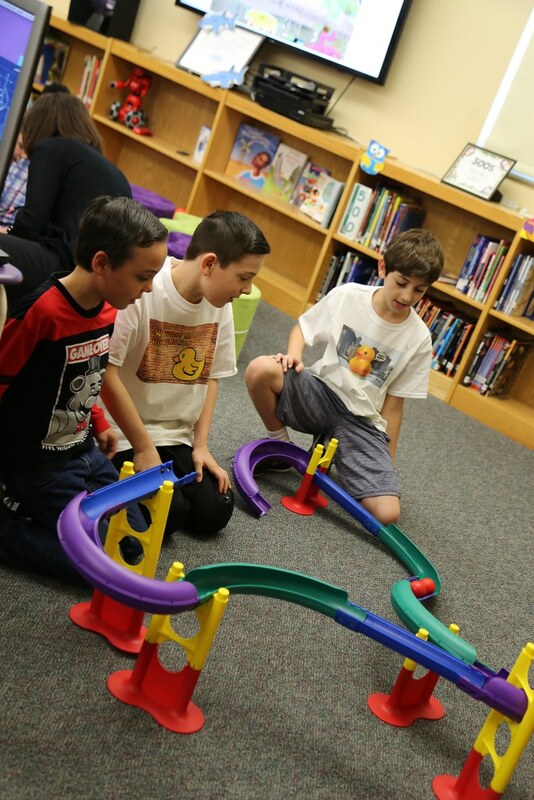 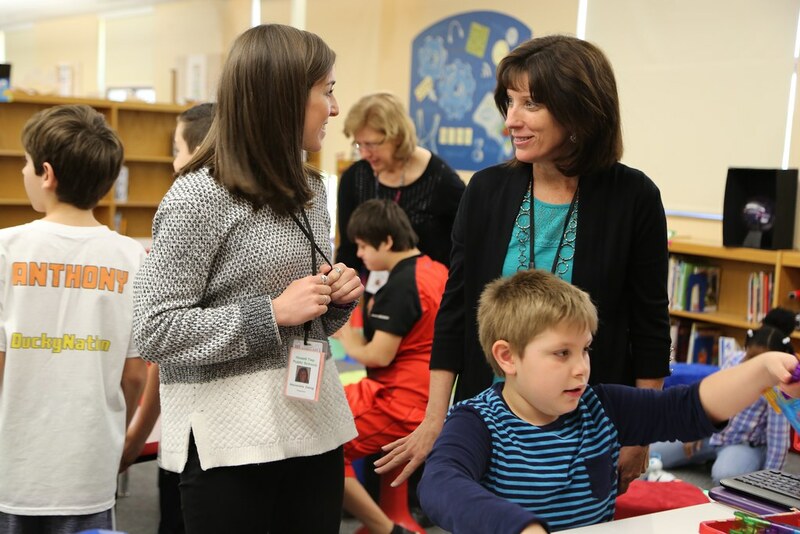 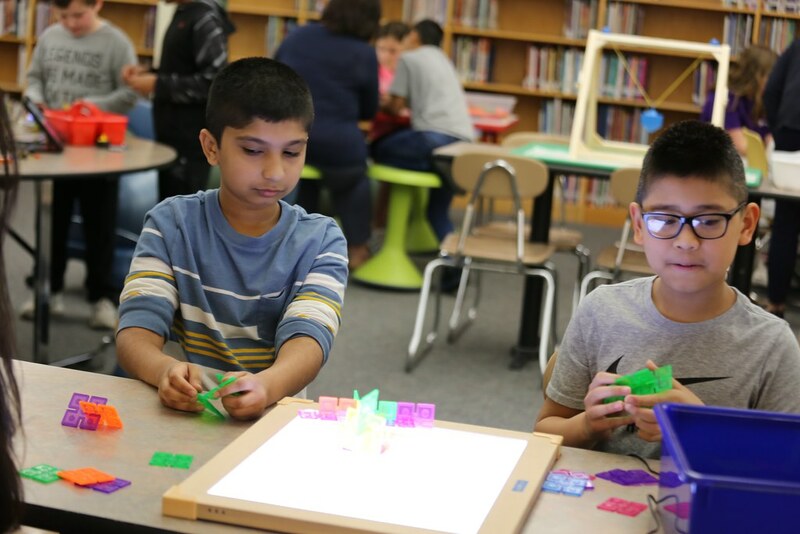 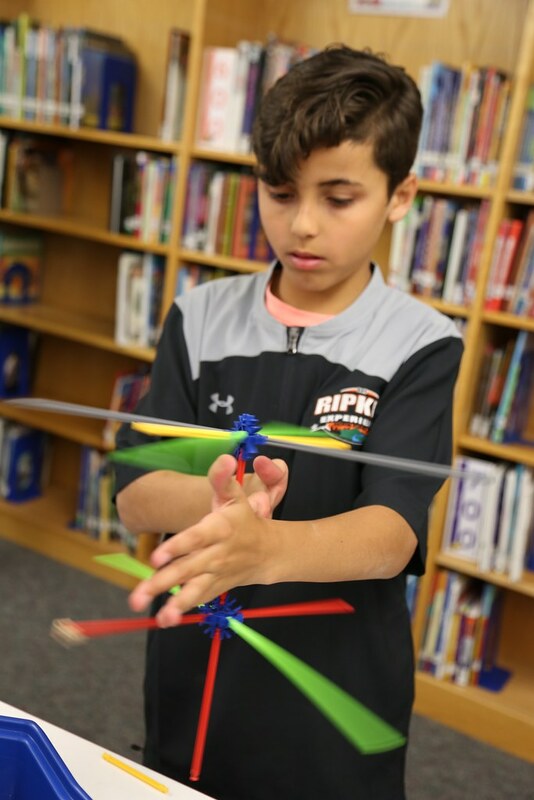 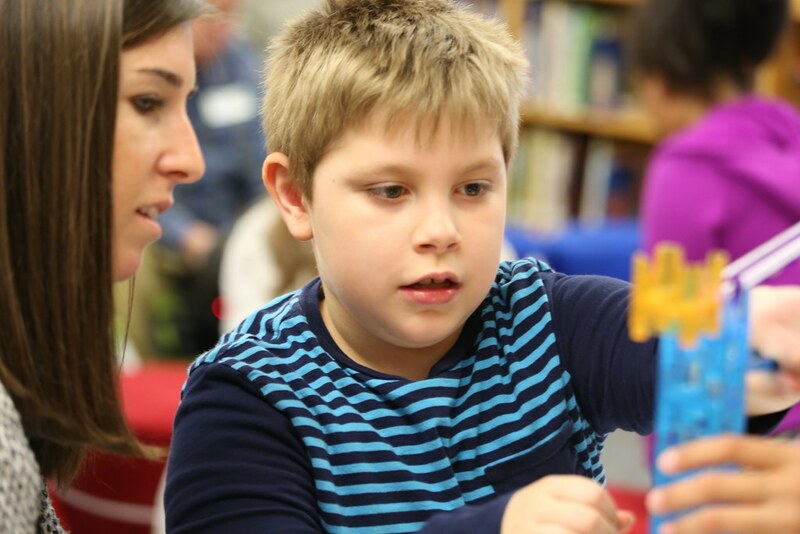 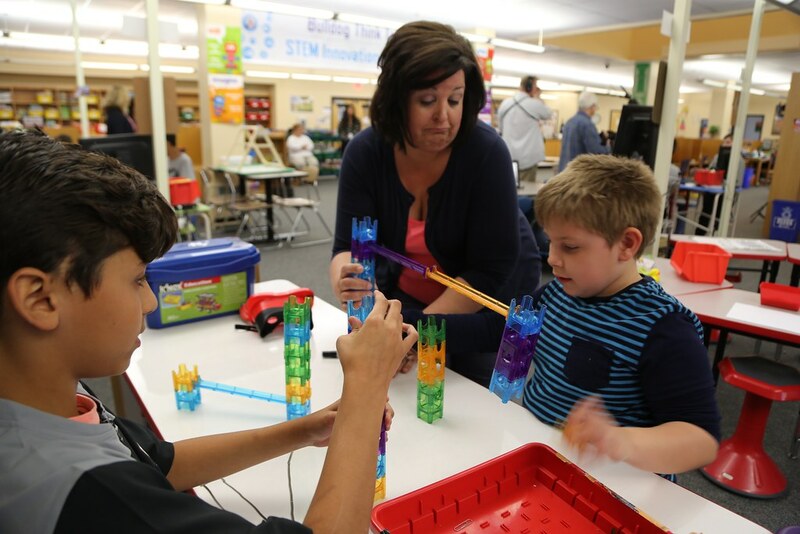 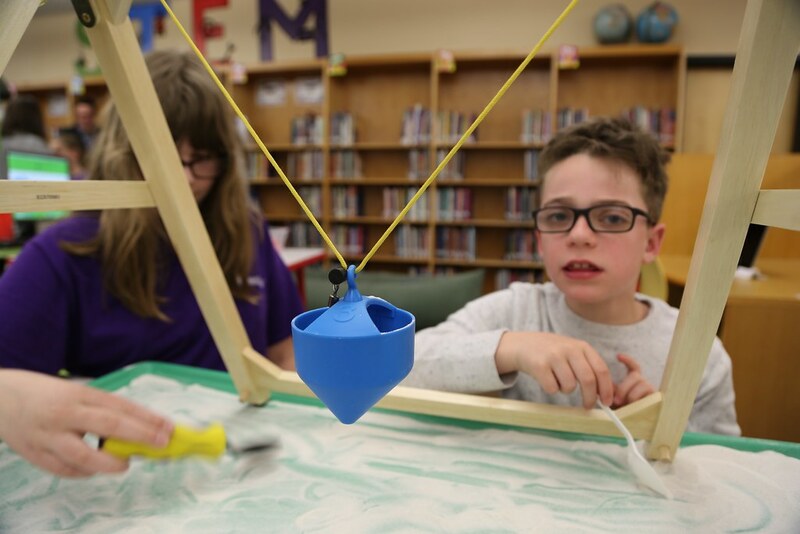 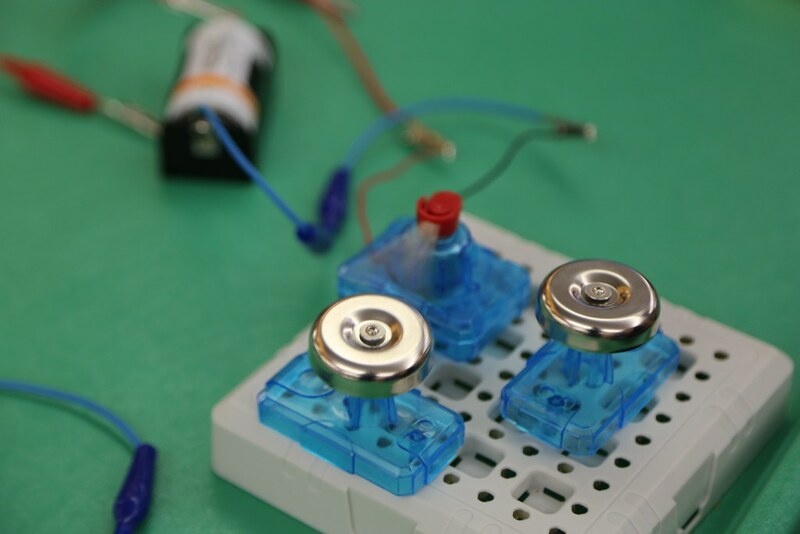 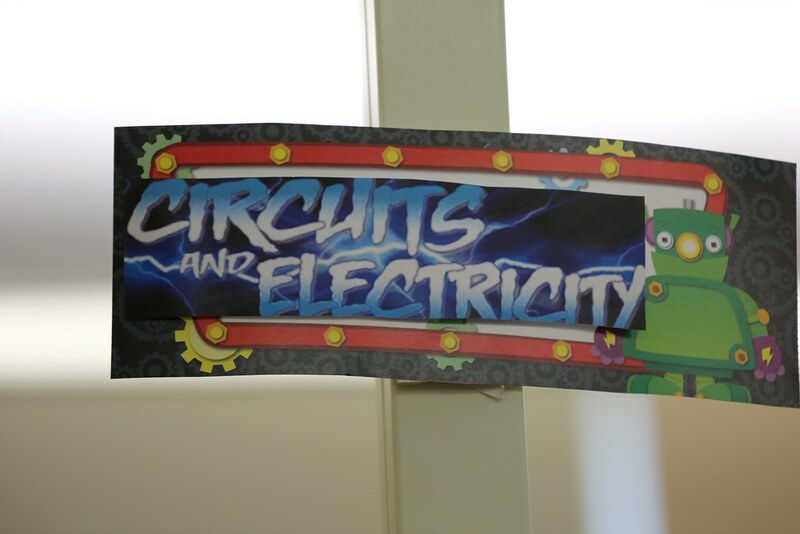 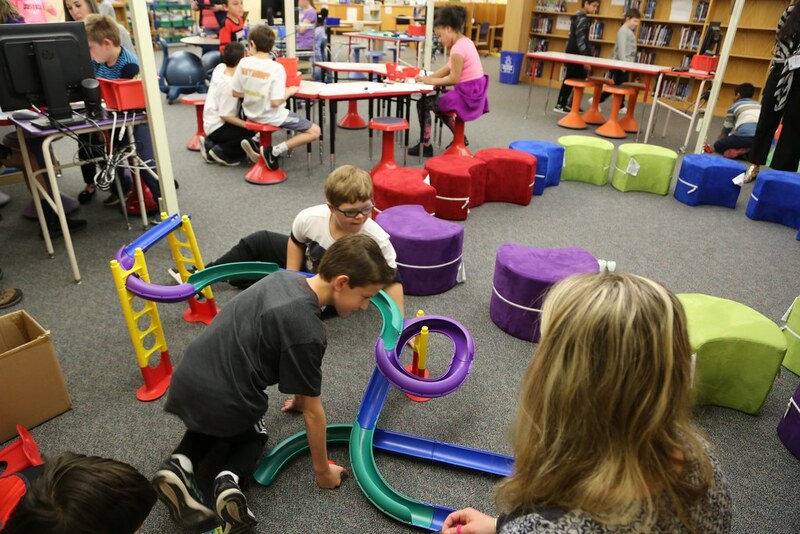 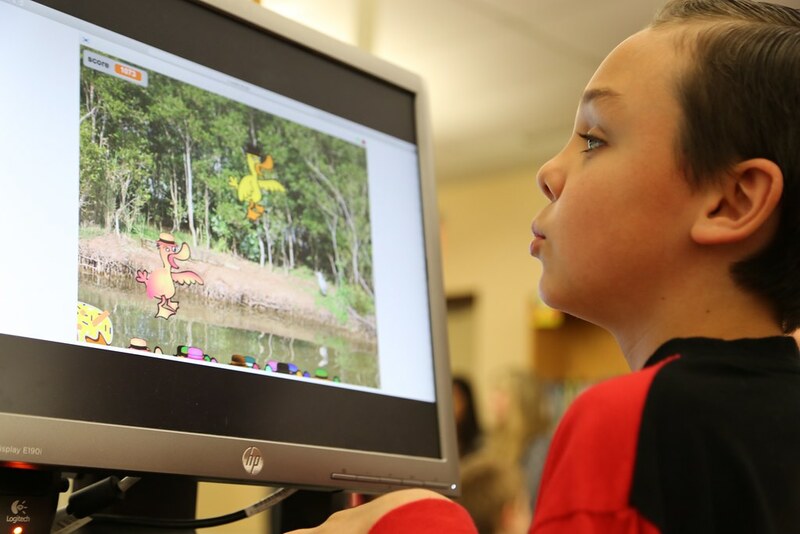 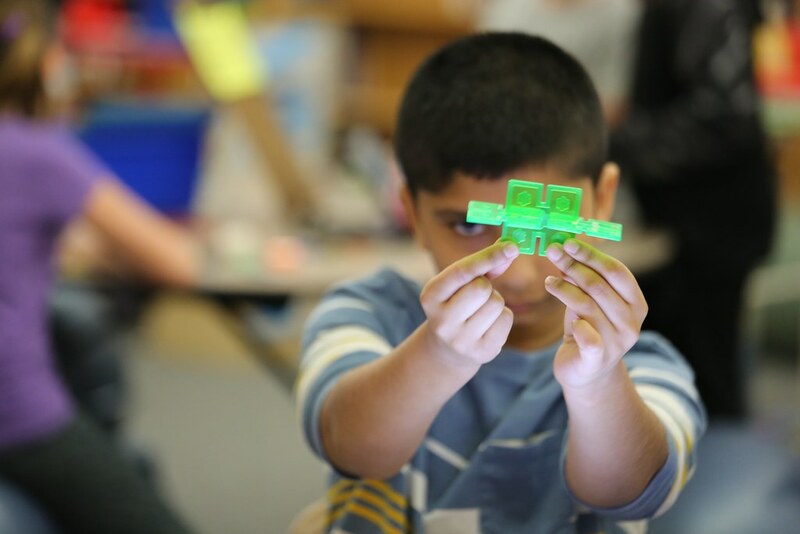 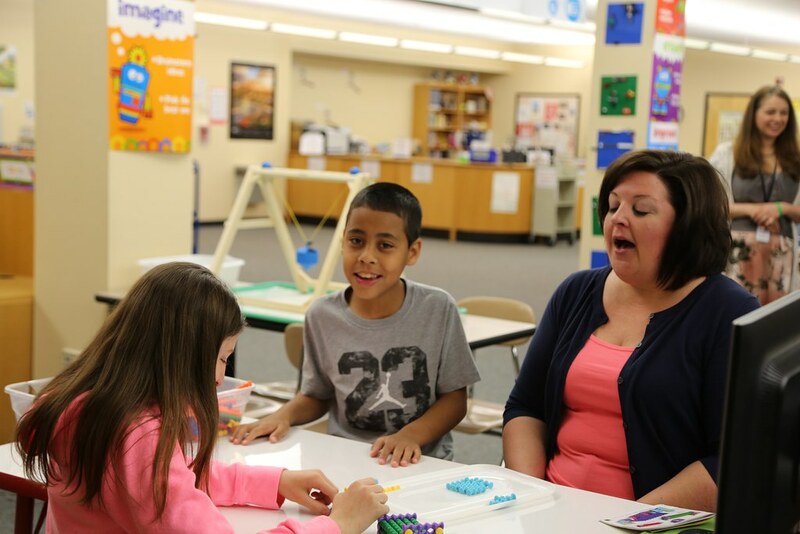 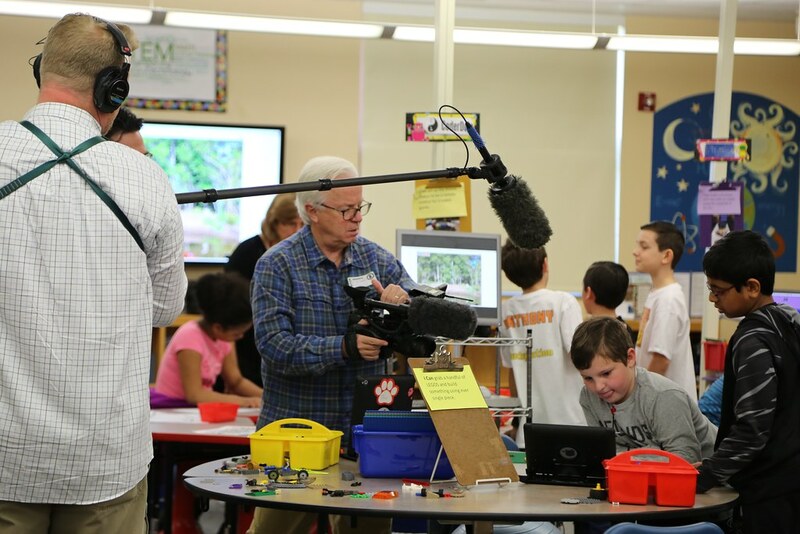 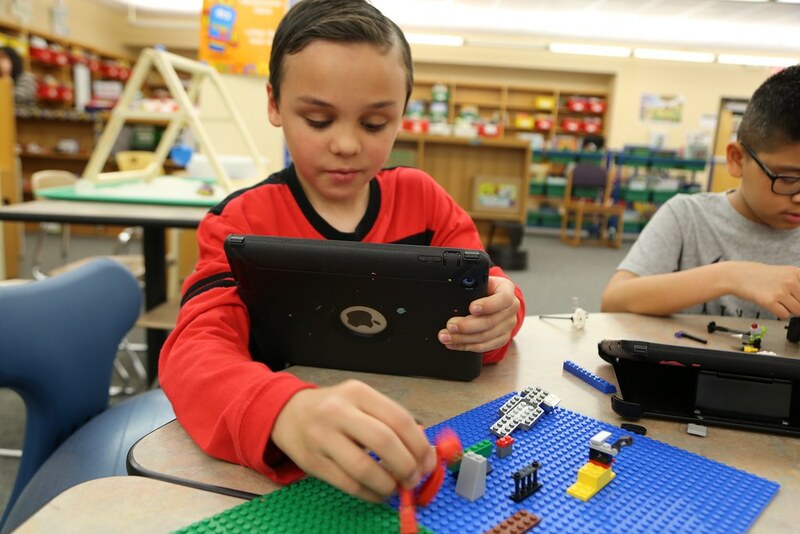 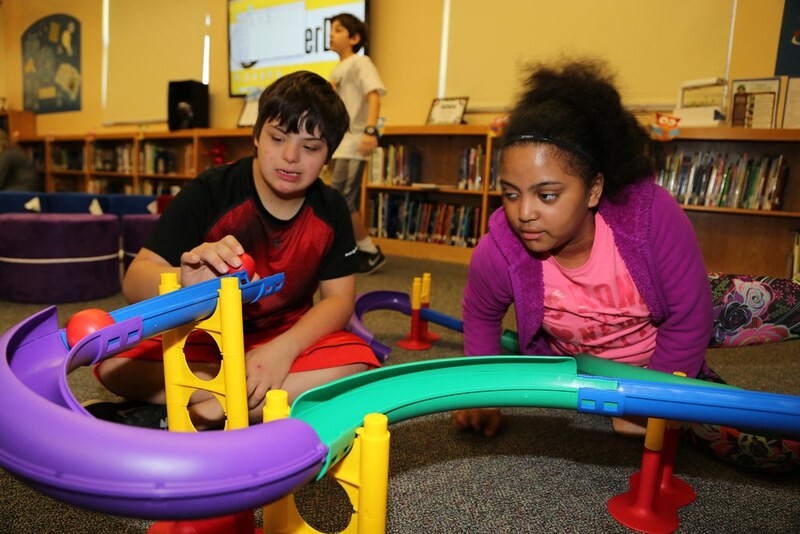 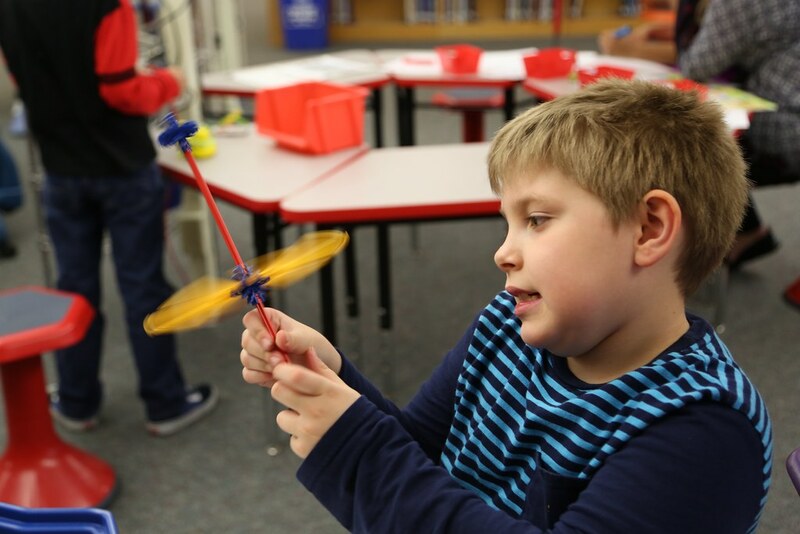 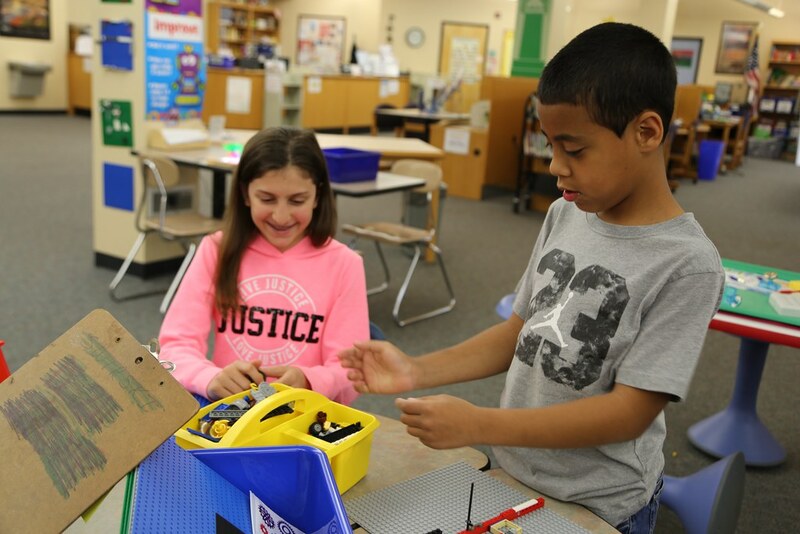 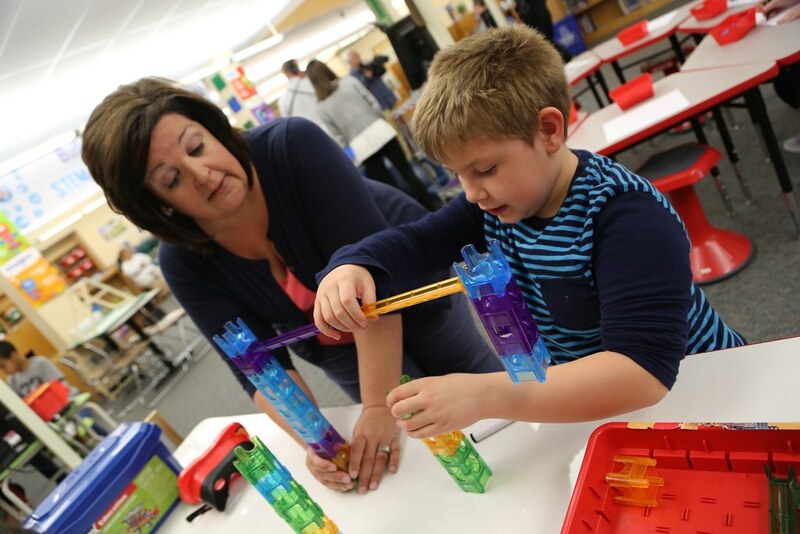 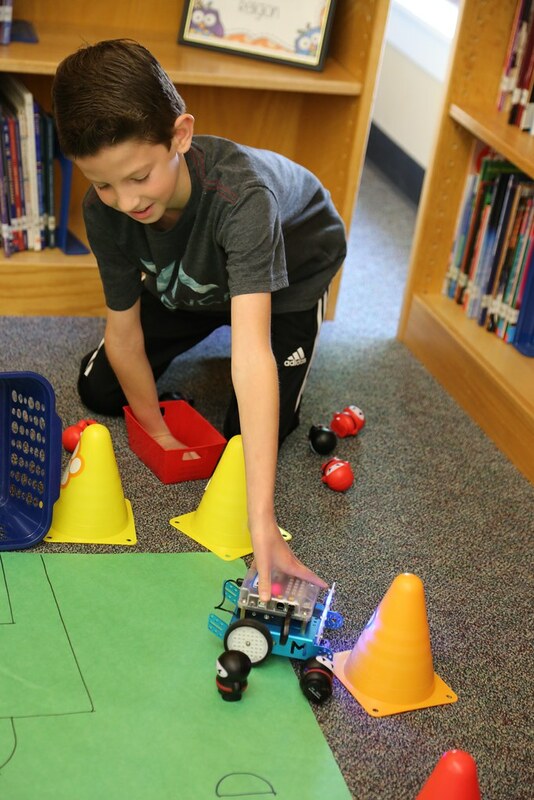 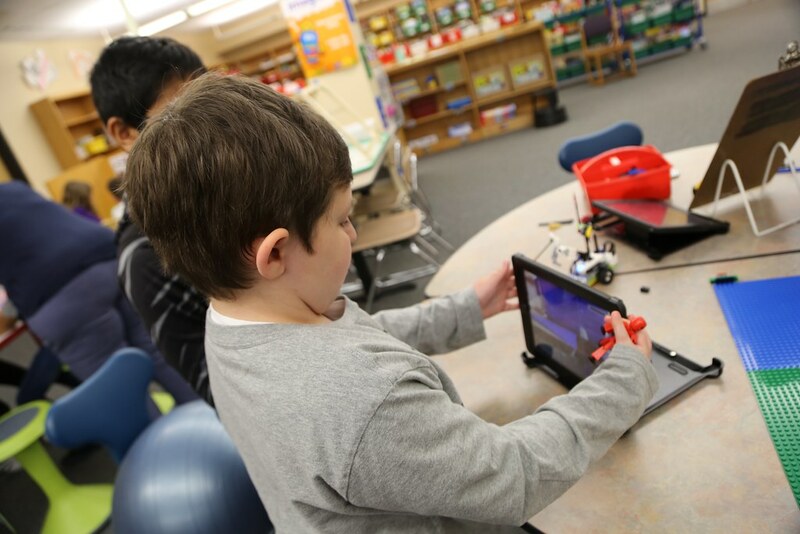 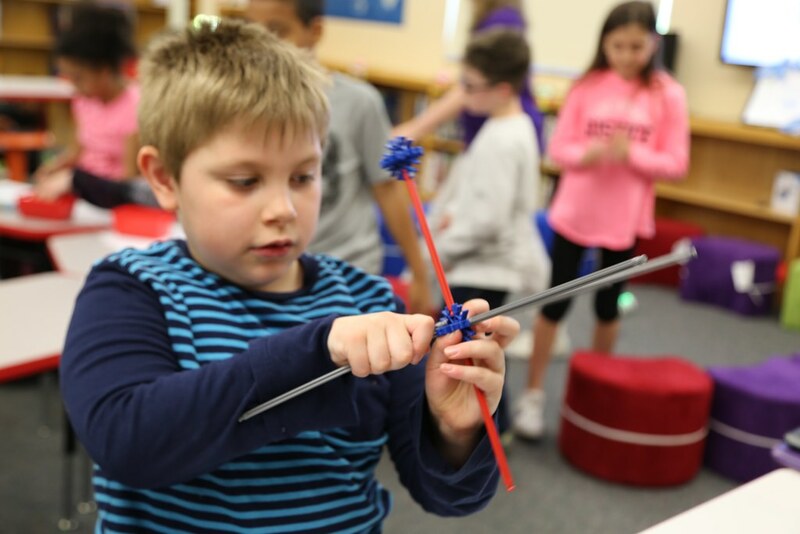 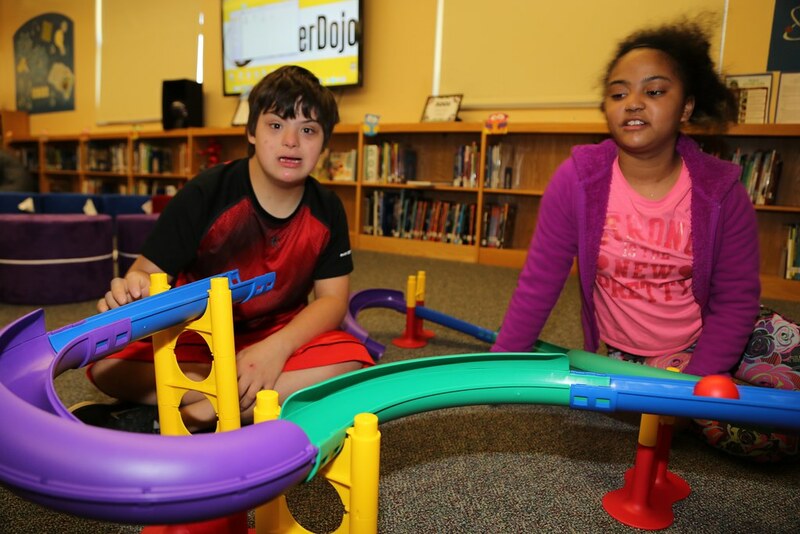 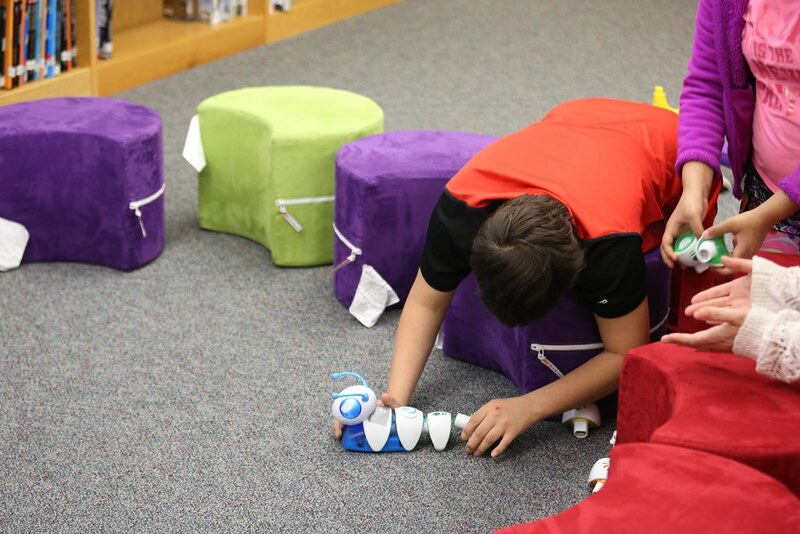 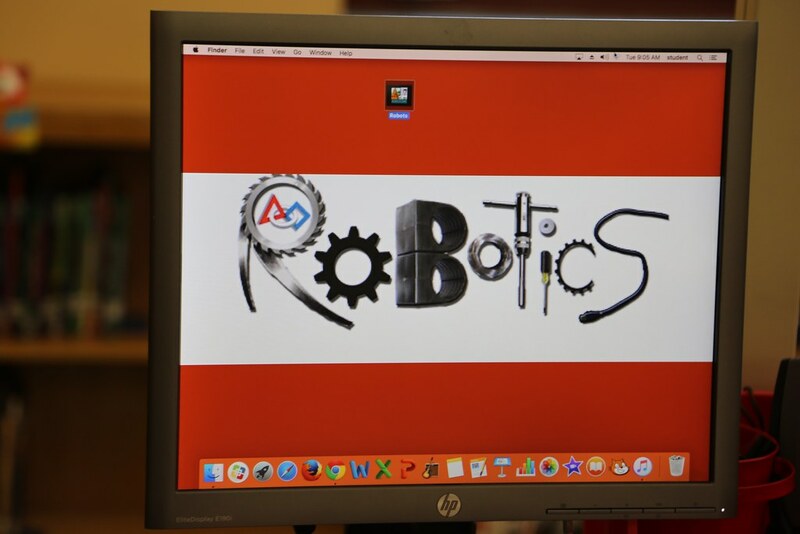 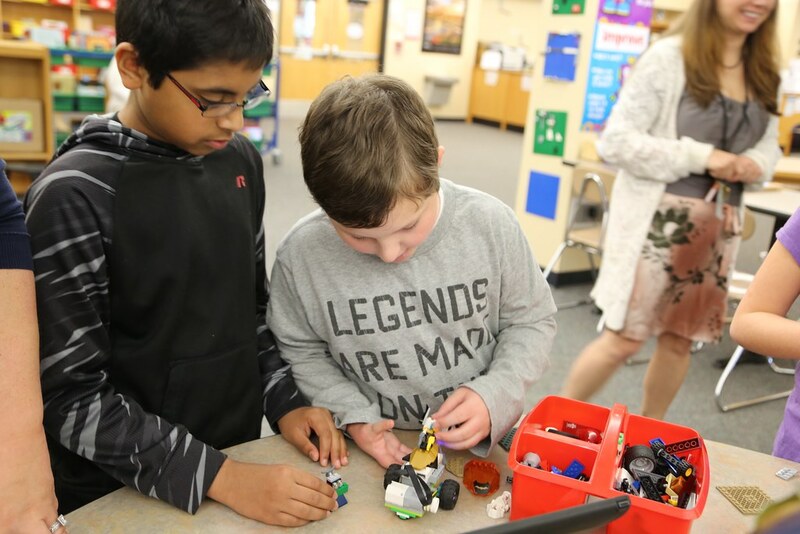 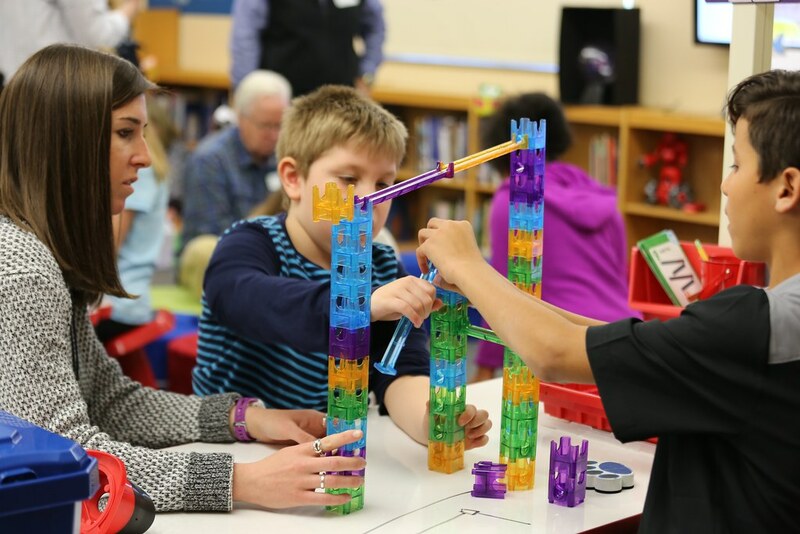 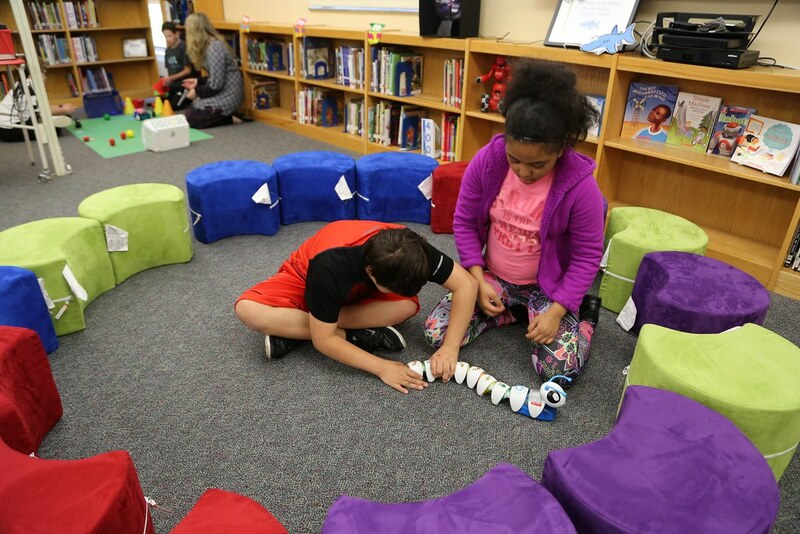 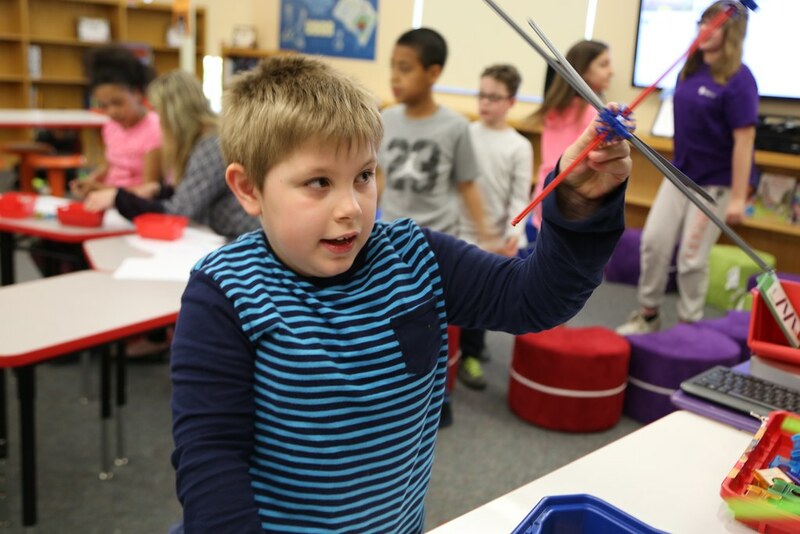 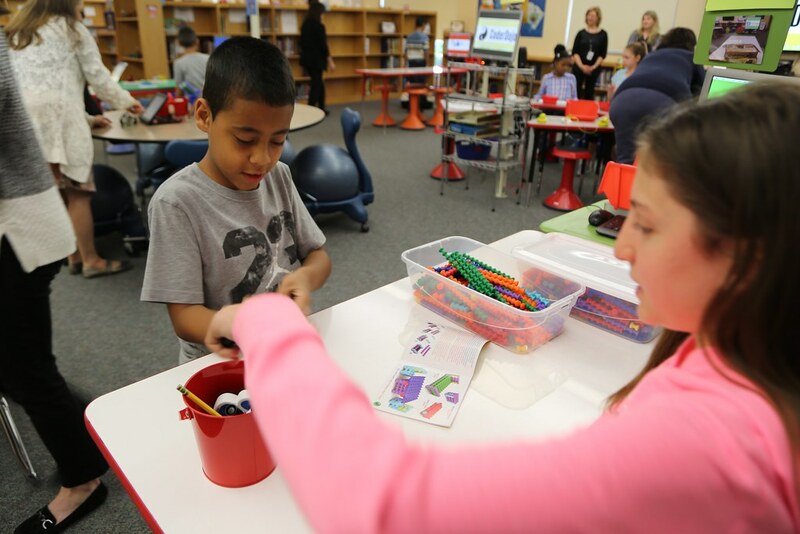 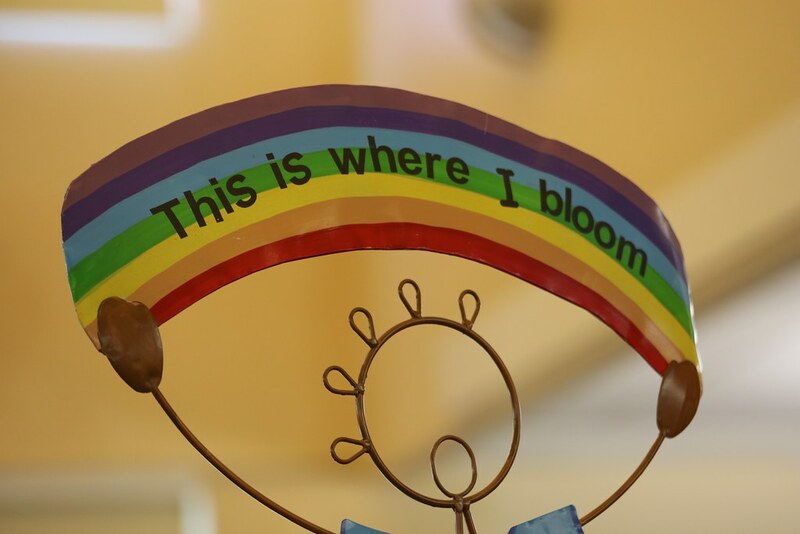 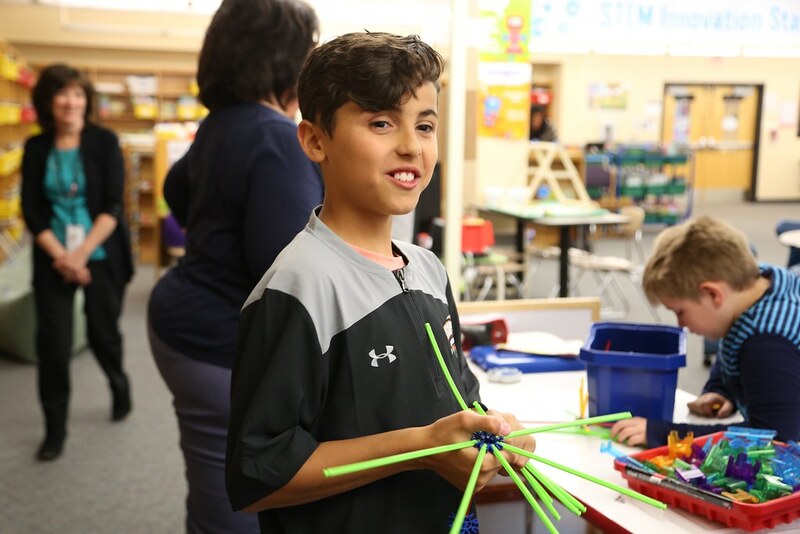 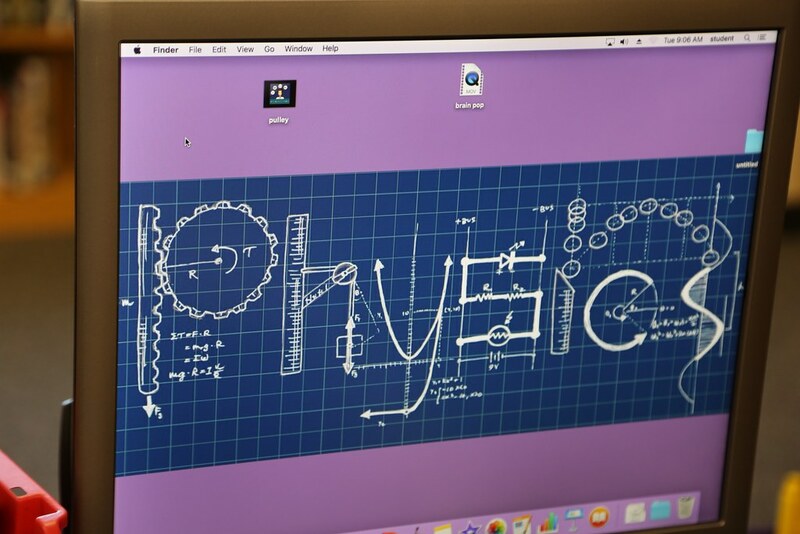 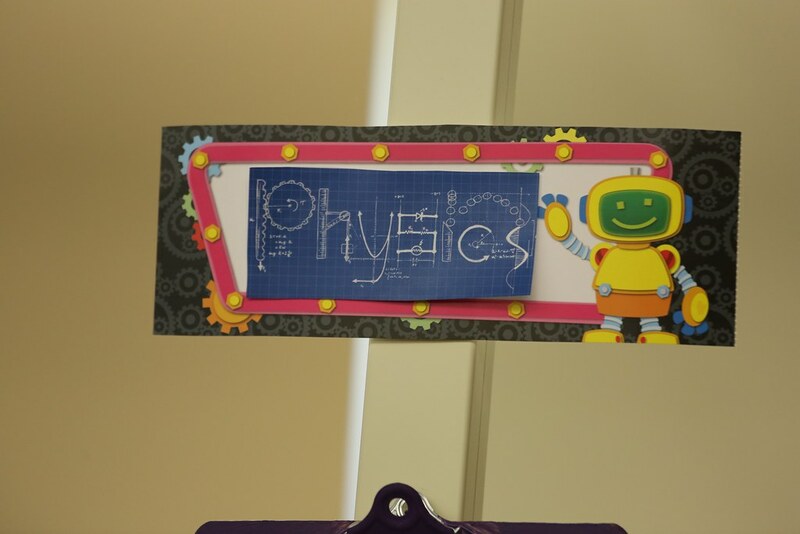 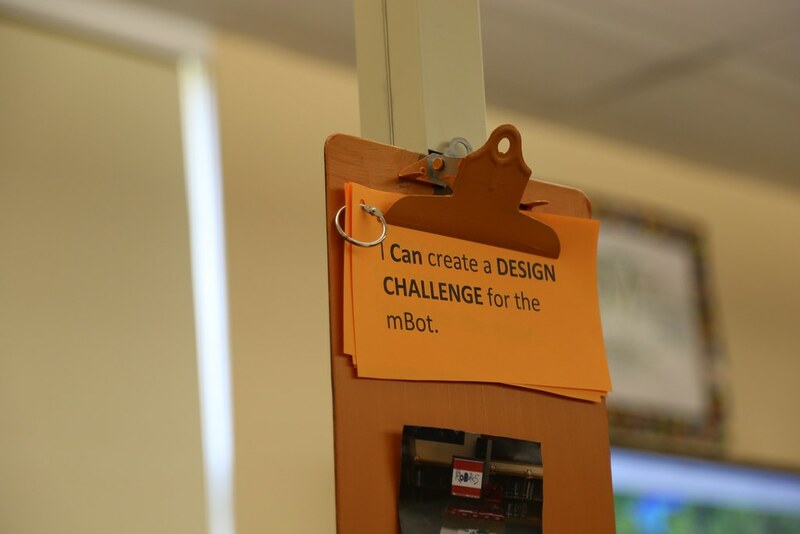 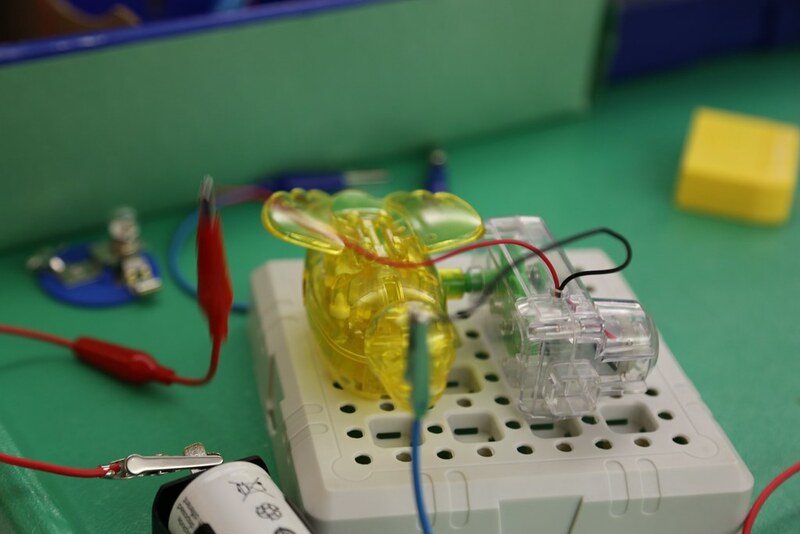 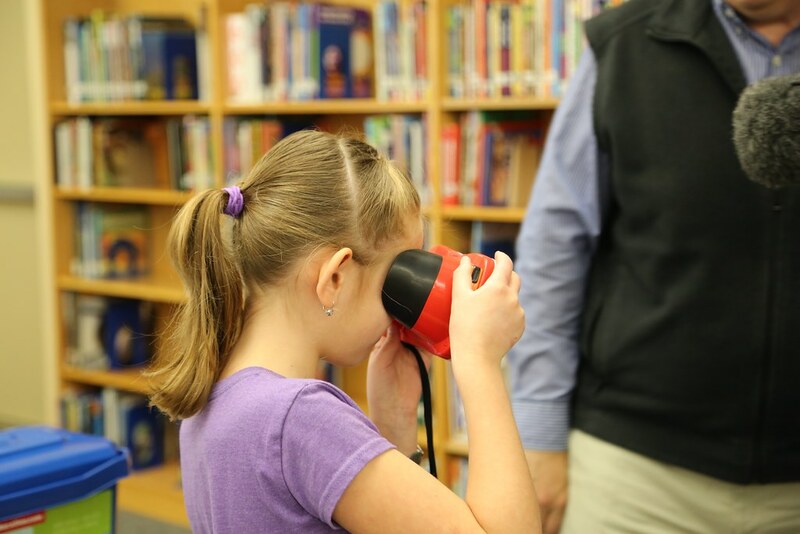 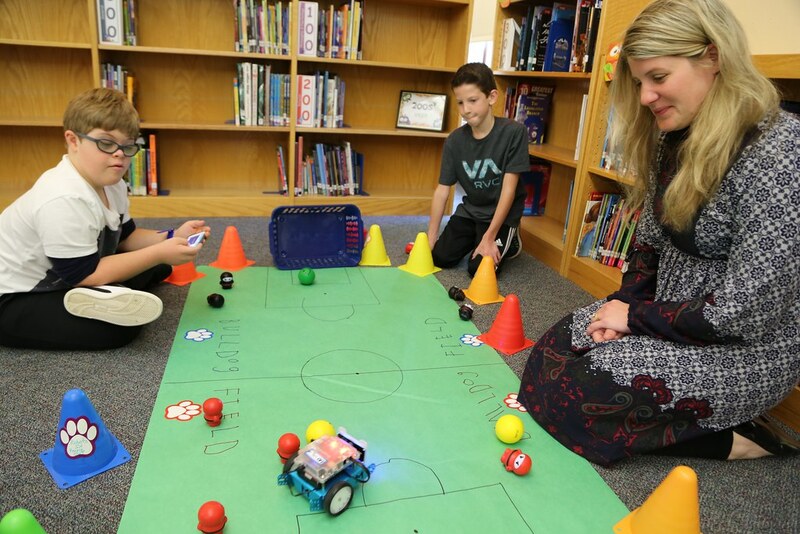 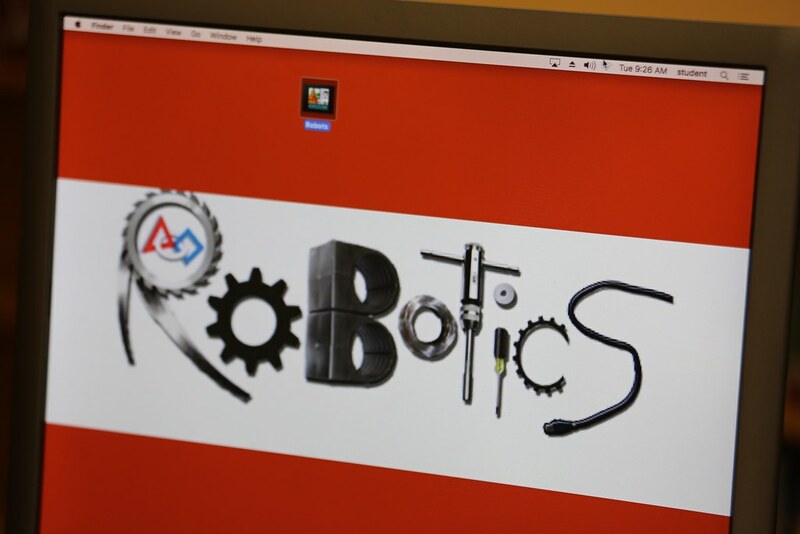 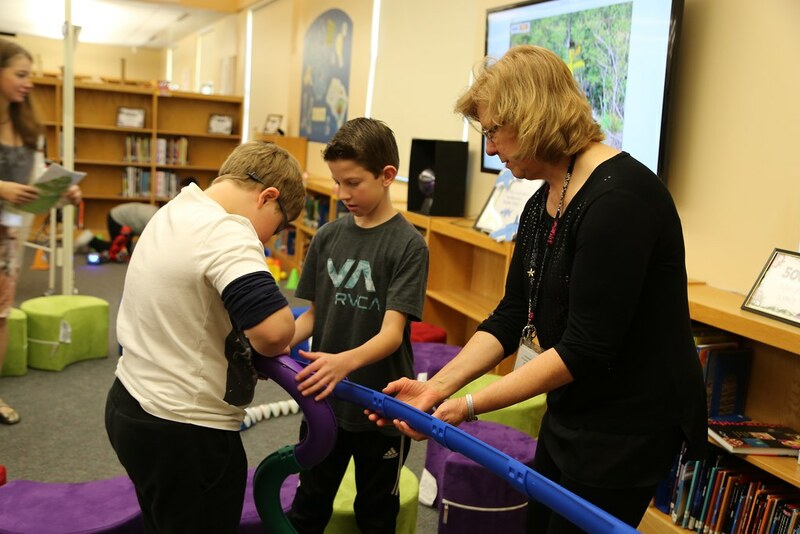 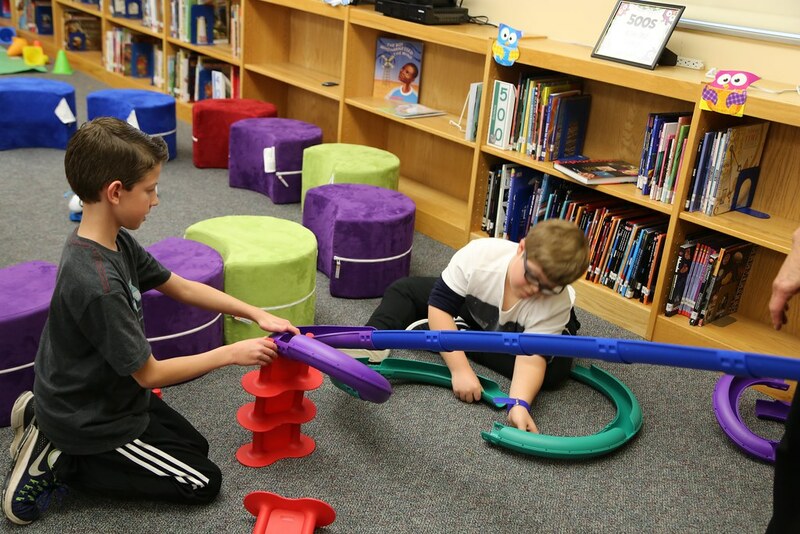 STEM Stations - Memorial School in Howell runs STEM Innovation Stations for children with multiple disabilities, autism, and cognitive impairments. 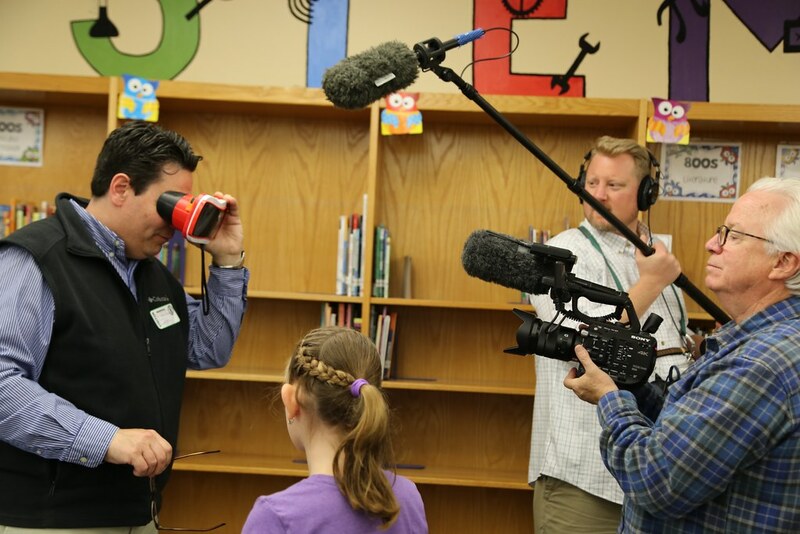 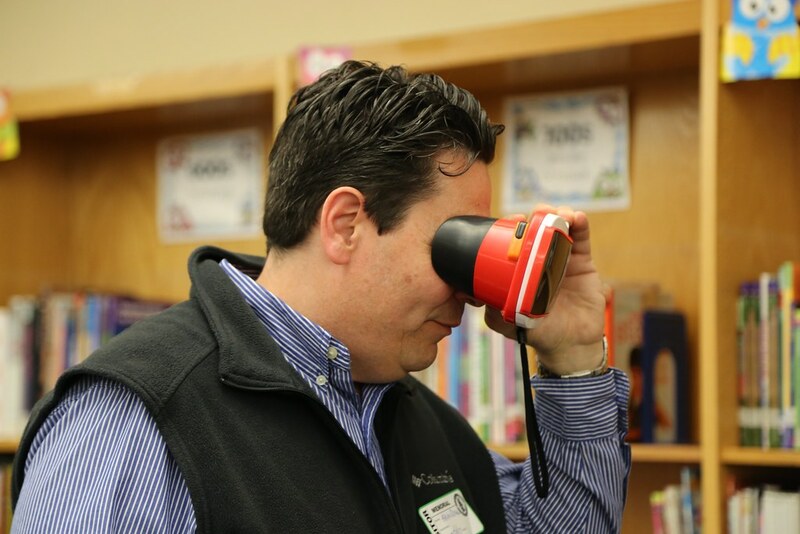 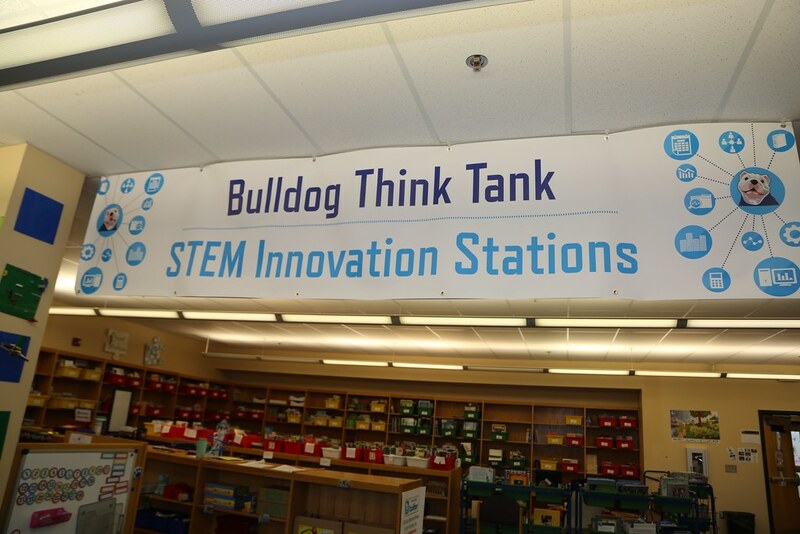 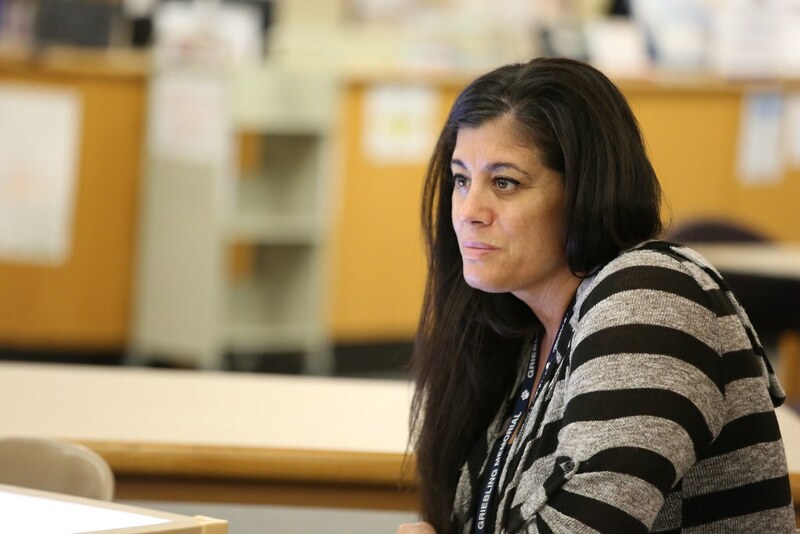 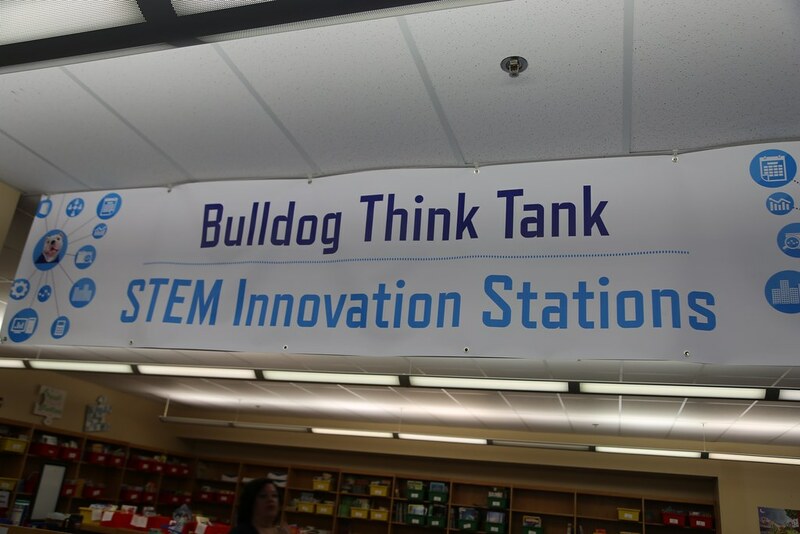 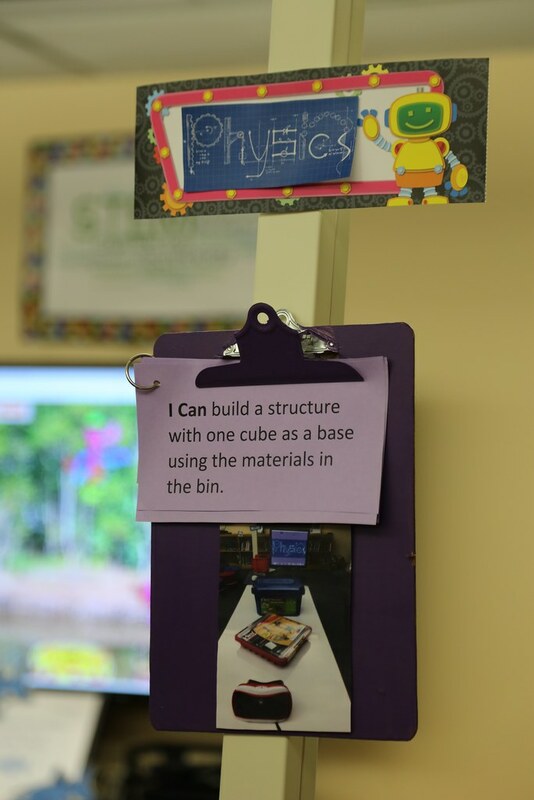 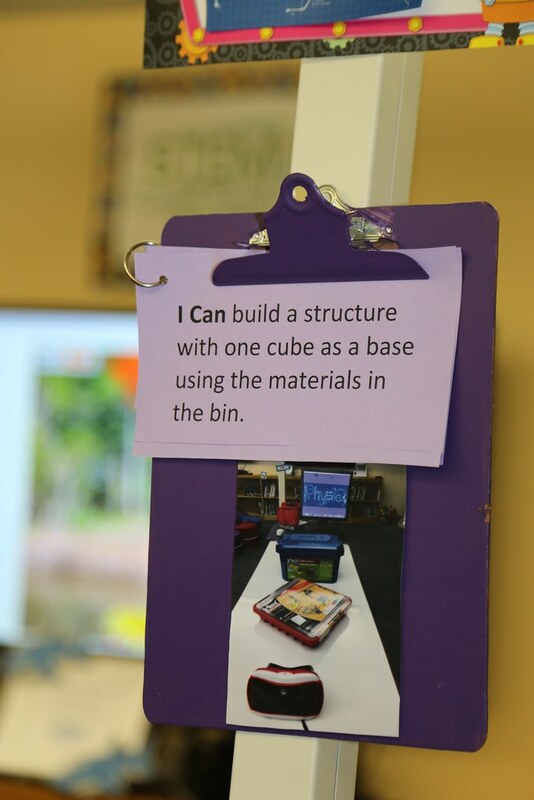 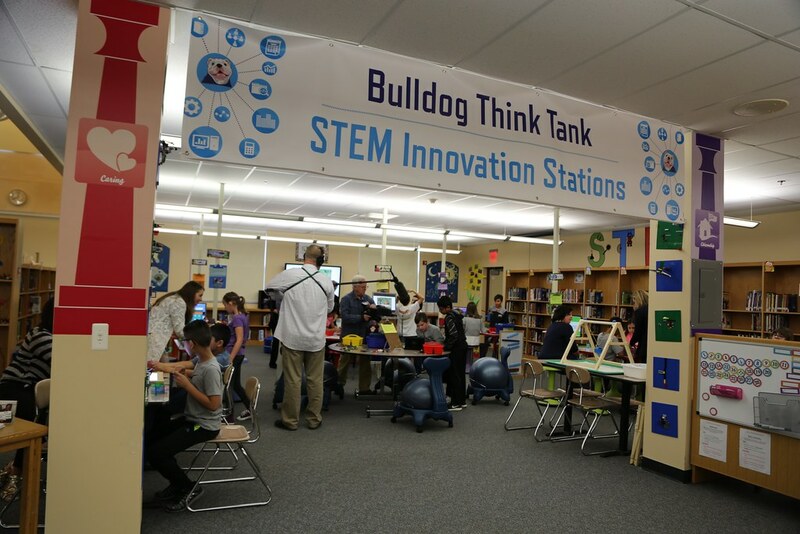 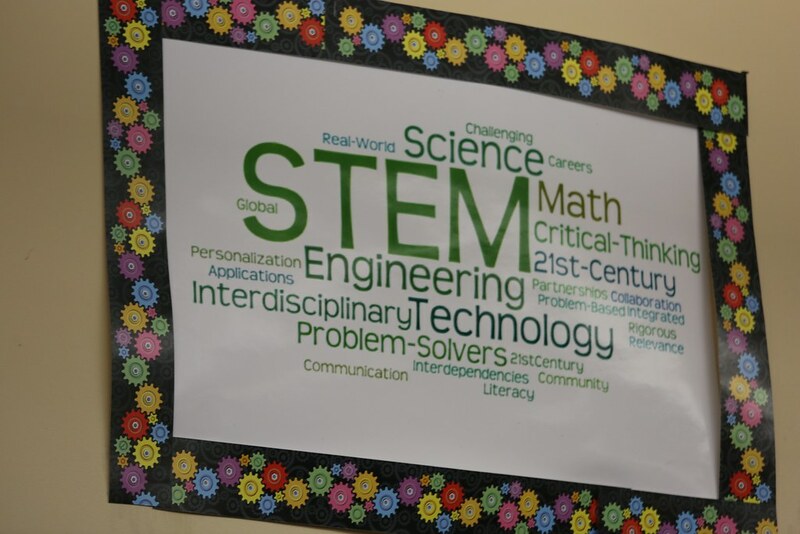 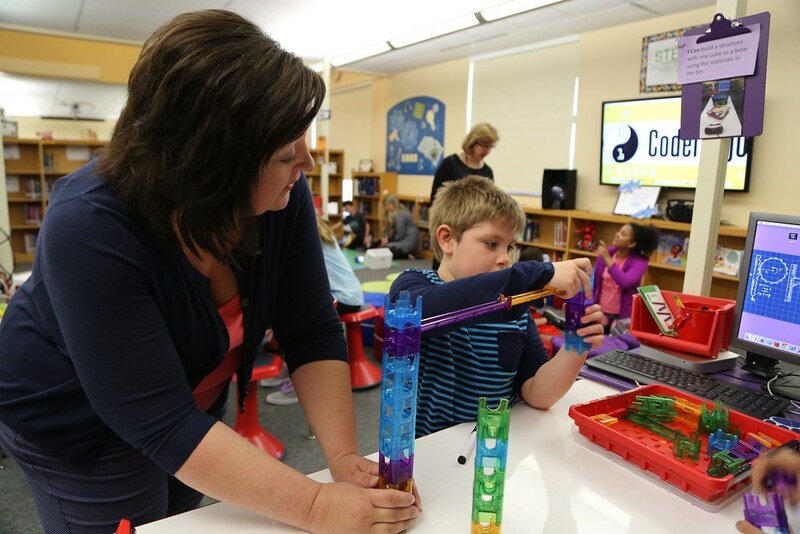 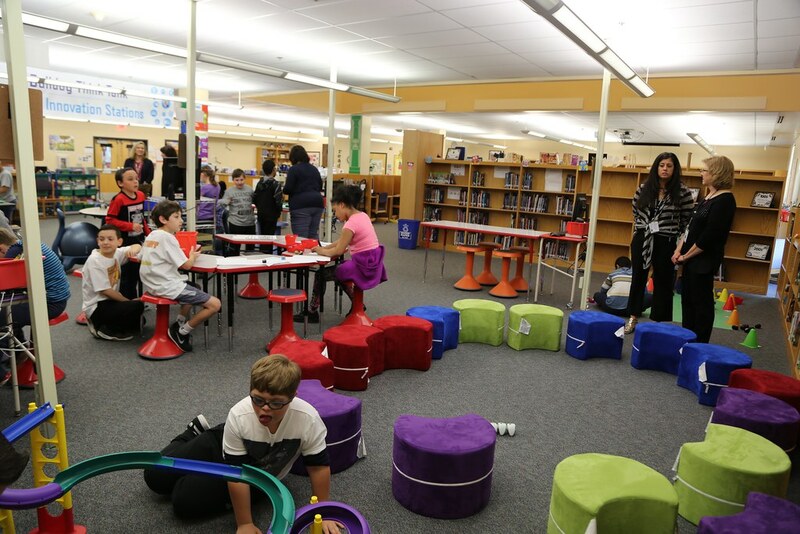 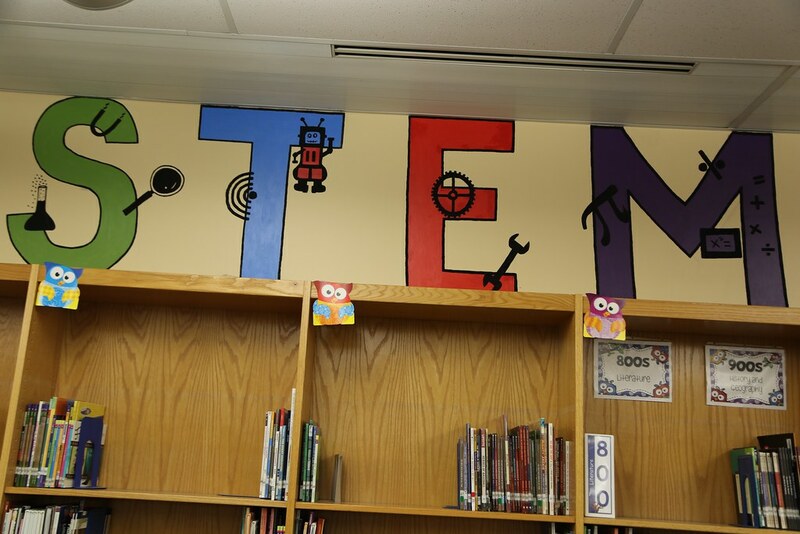 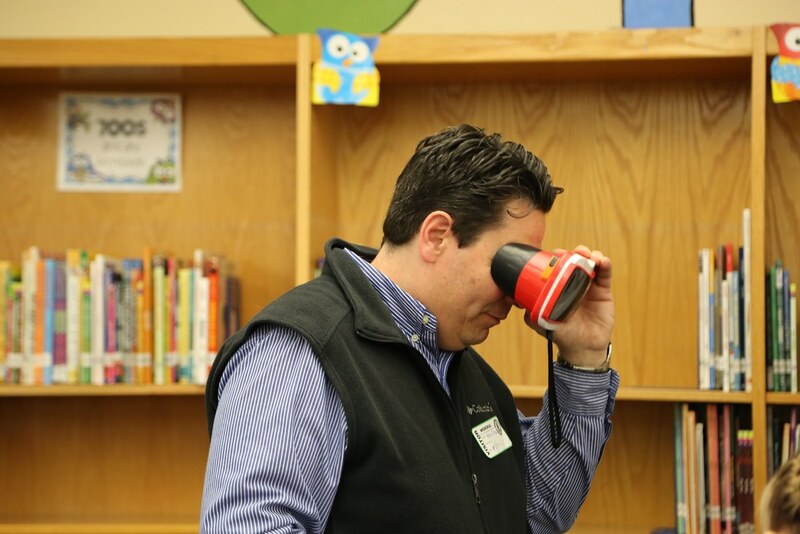 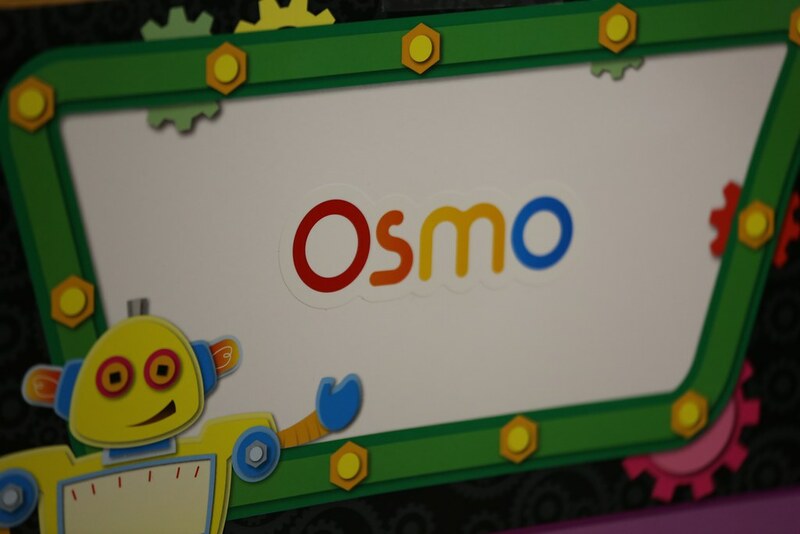 Through this model classroom they implement STEM Innovation Stations that will enable students with special needs to utilize 21st century life skills to work through real world projects. 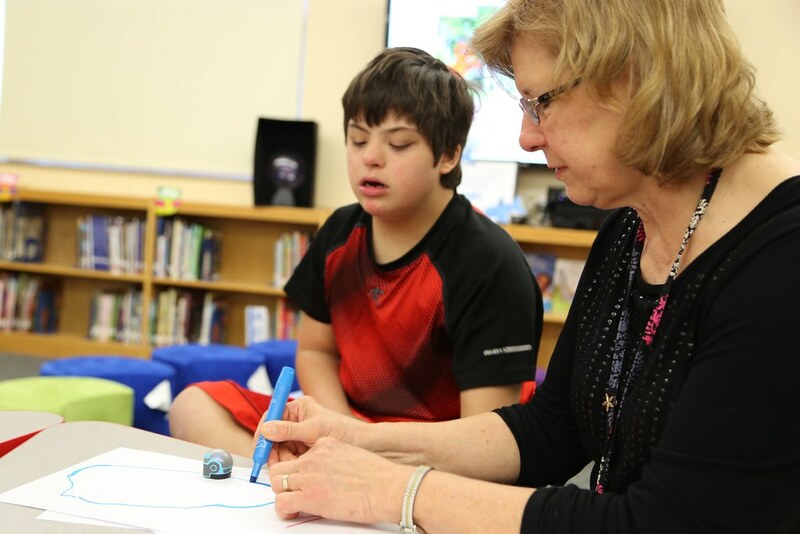 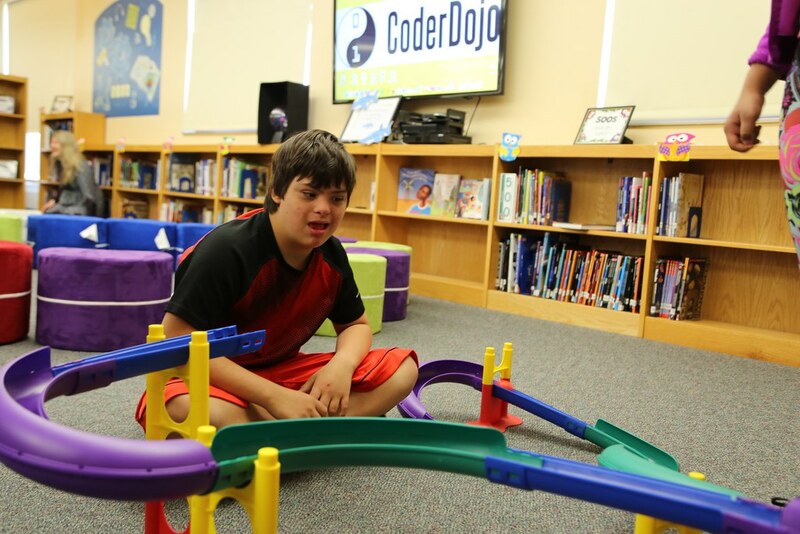 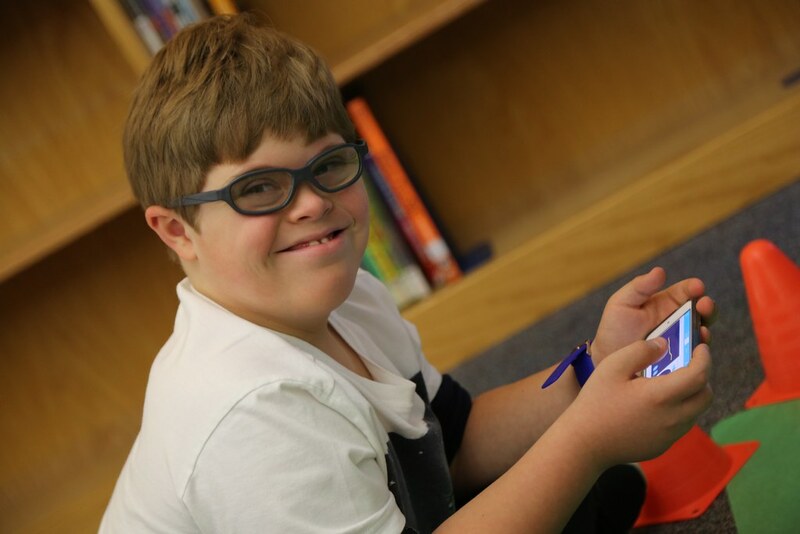 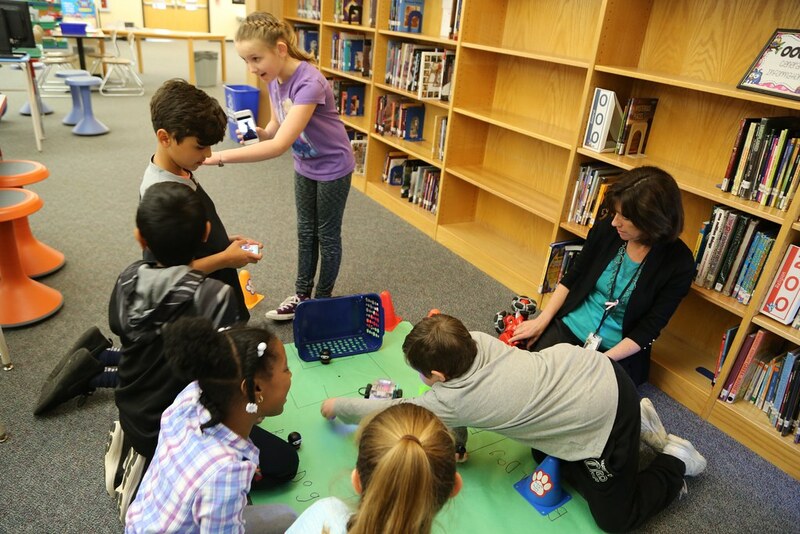 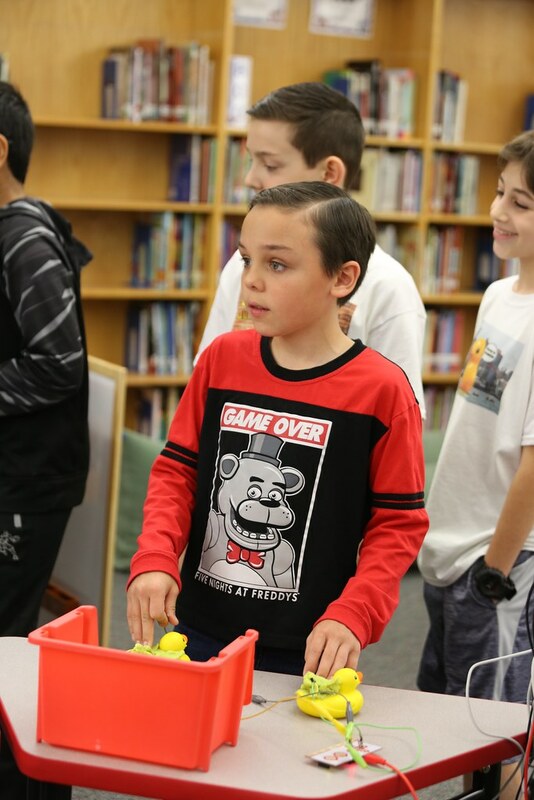 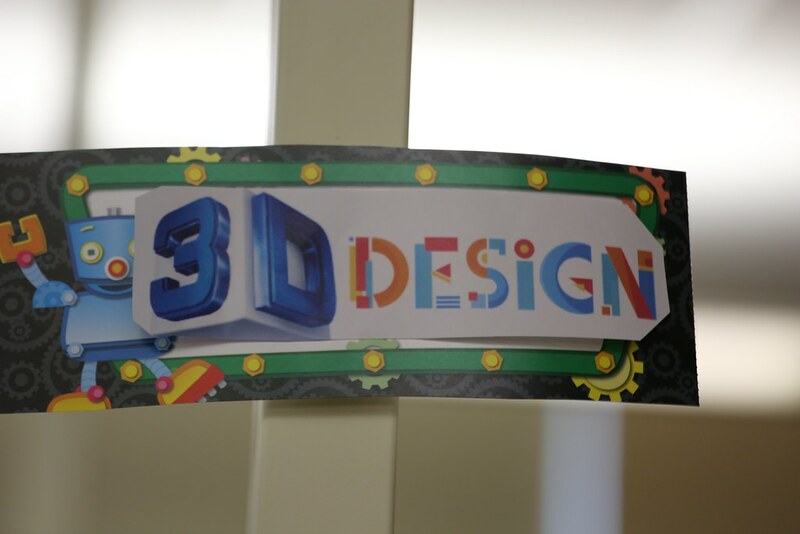 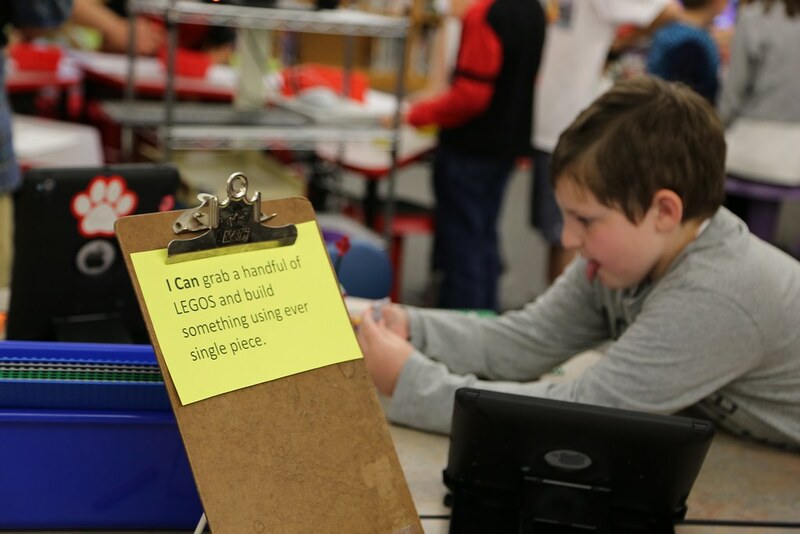 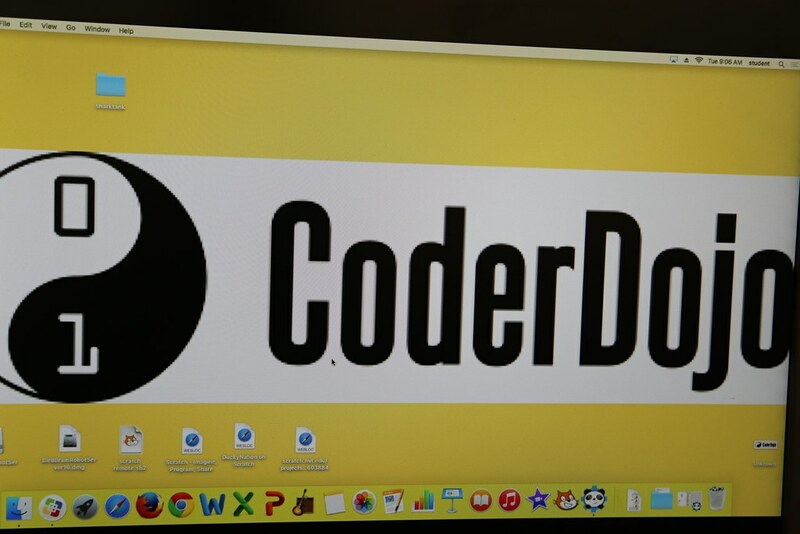 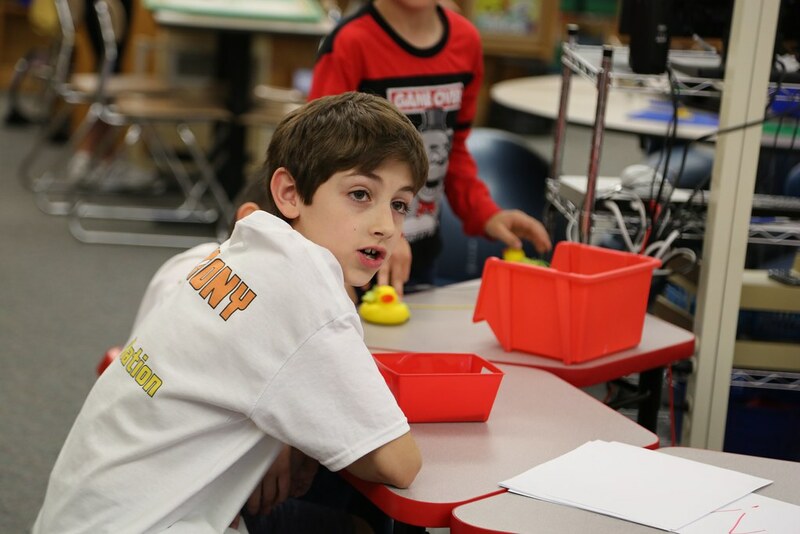 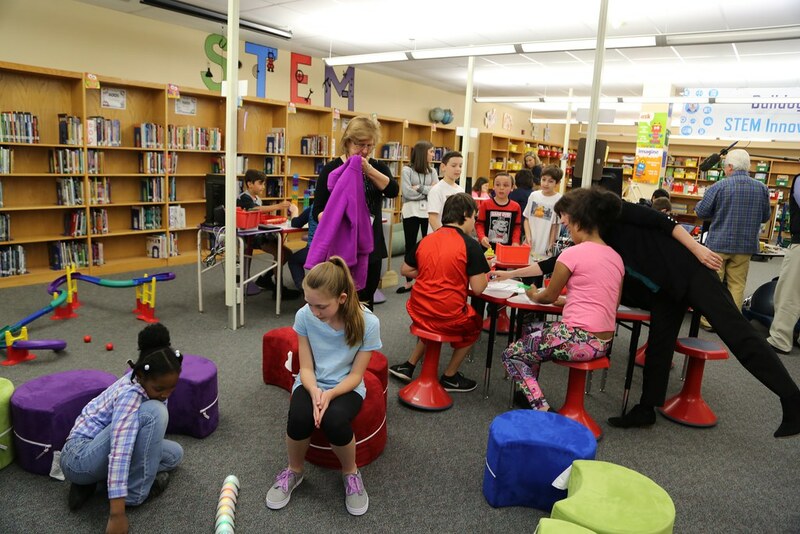 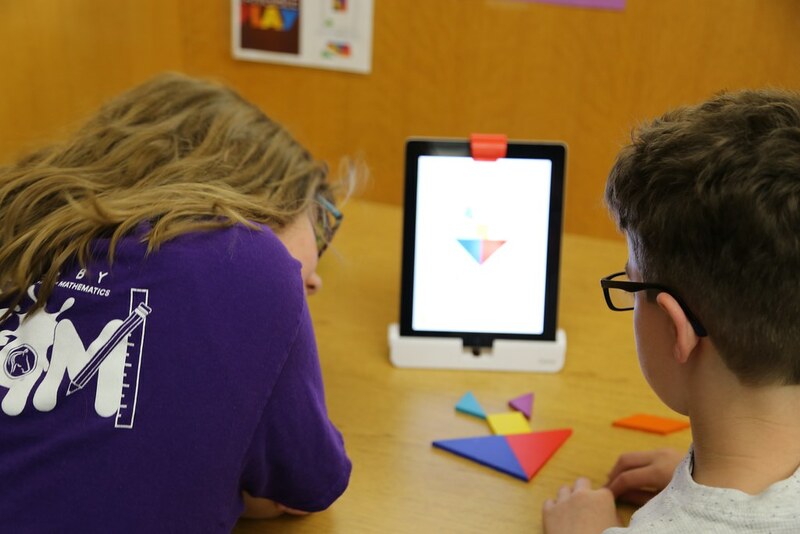 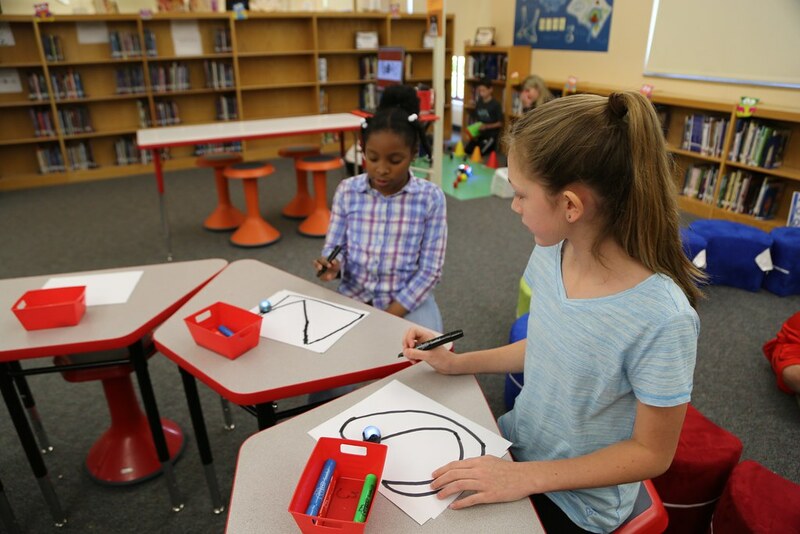 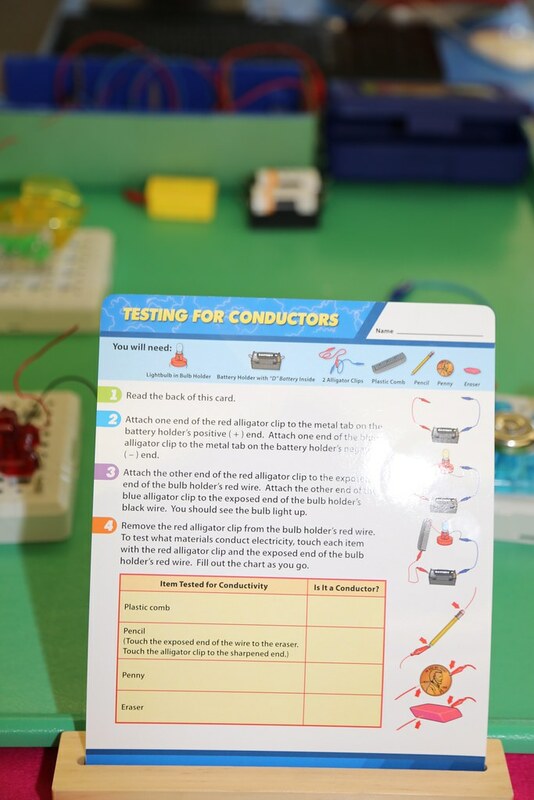 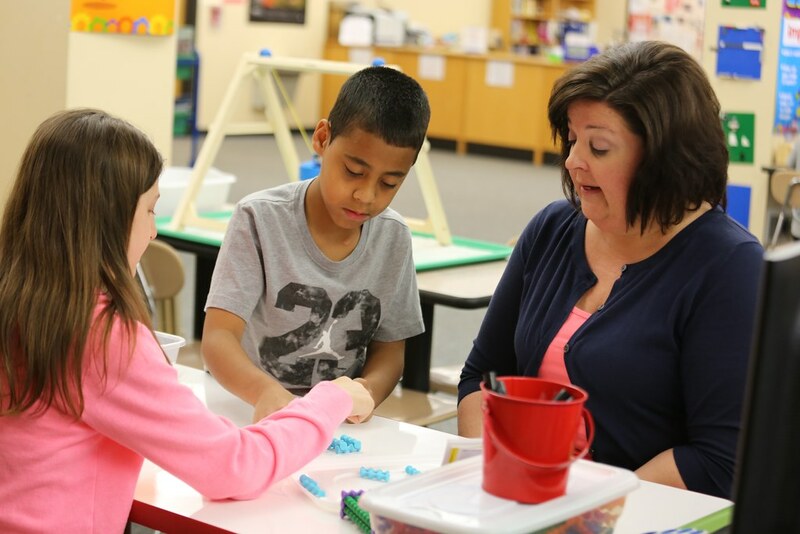 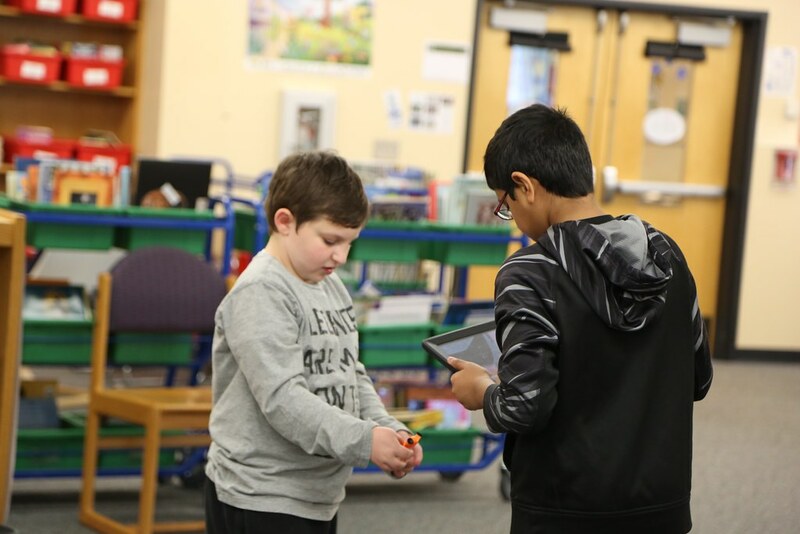 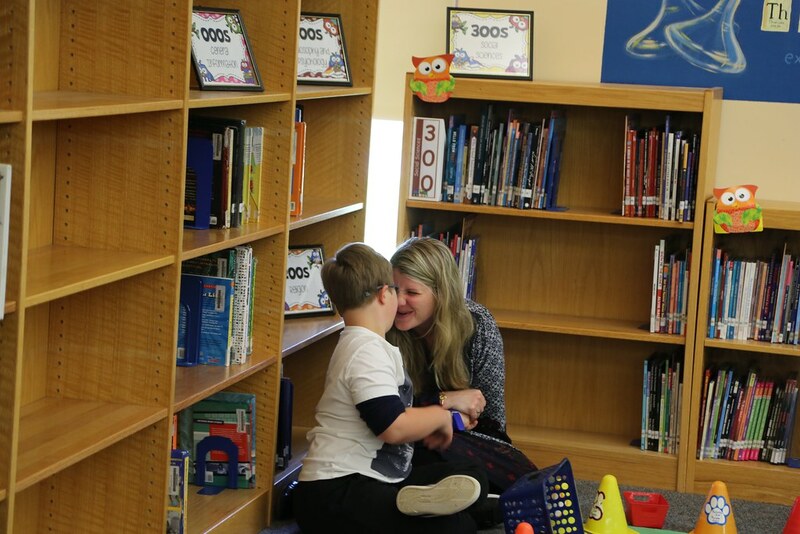 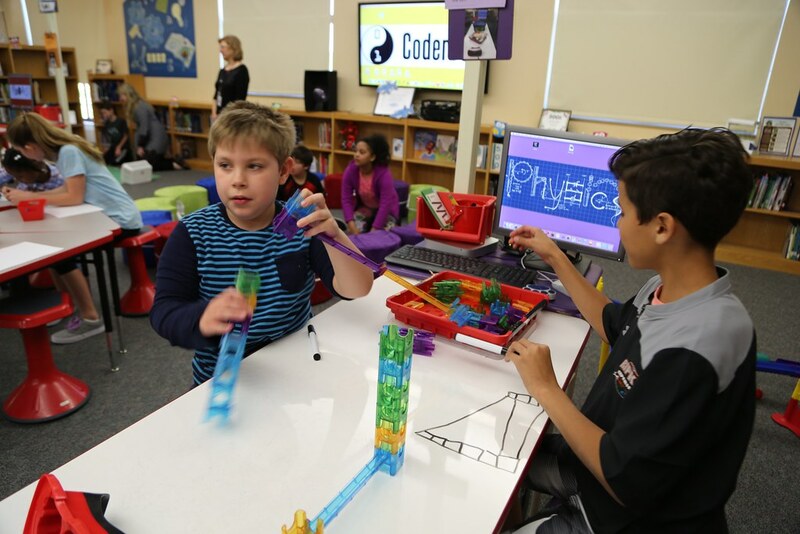 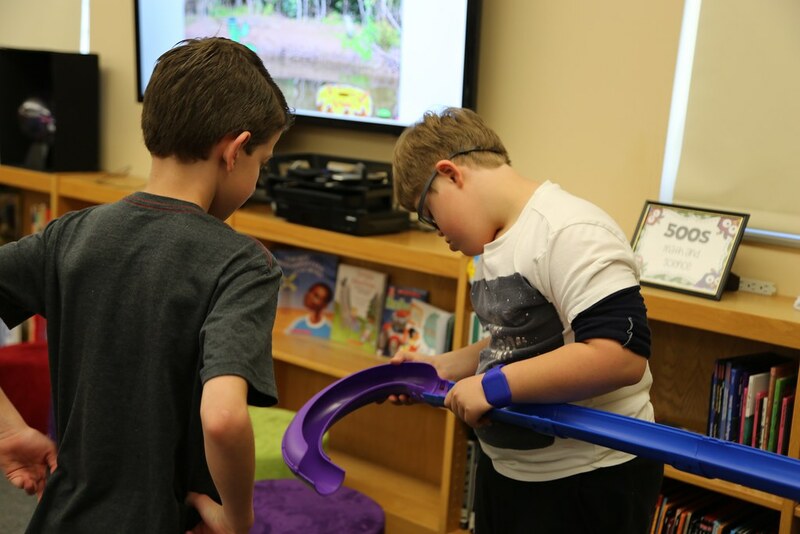 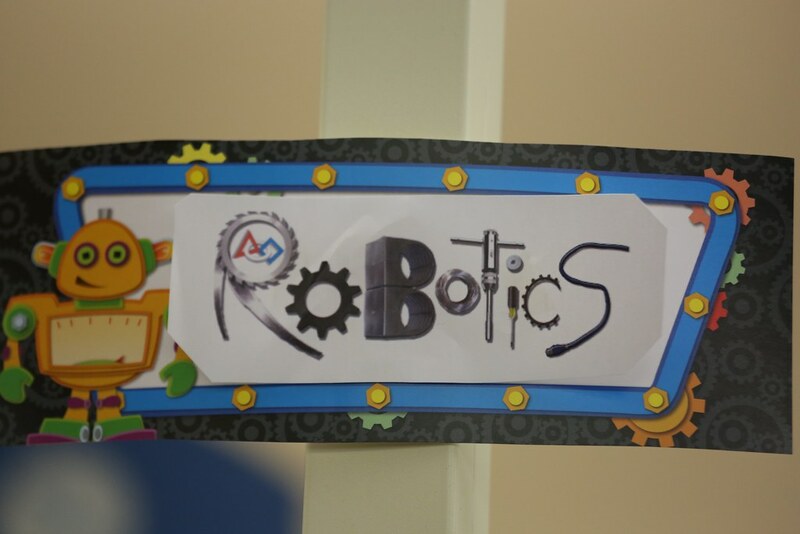 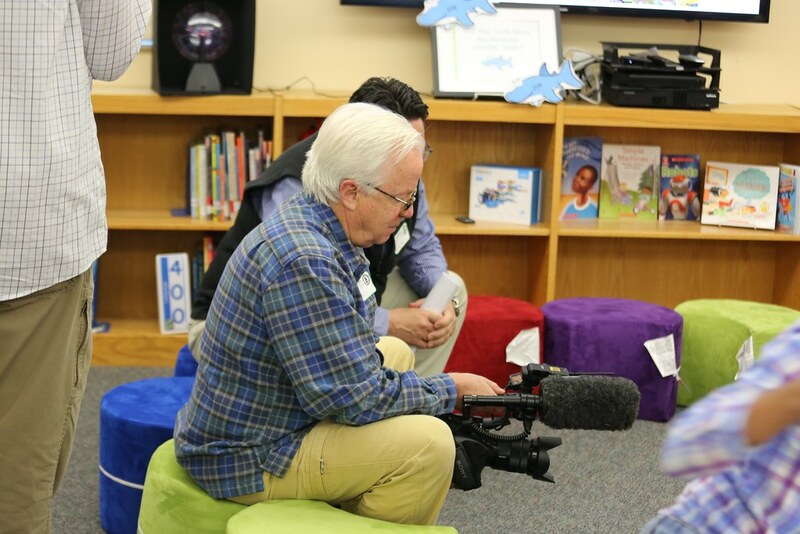 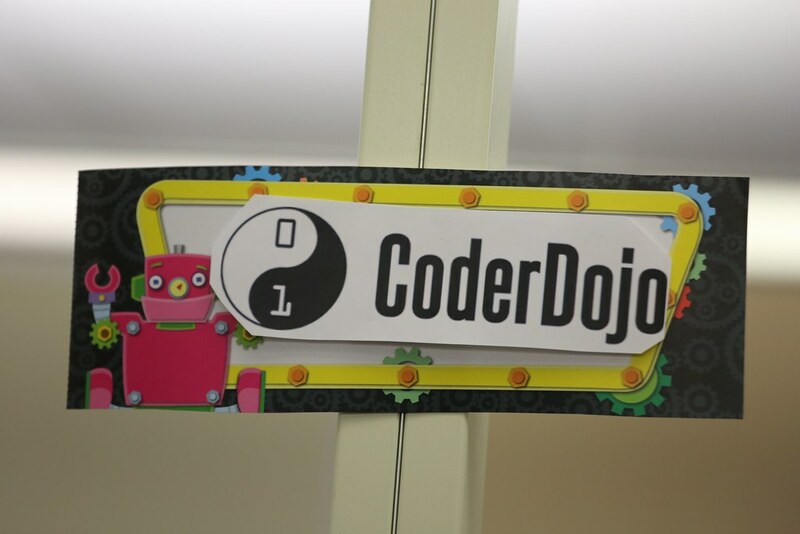 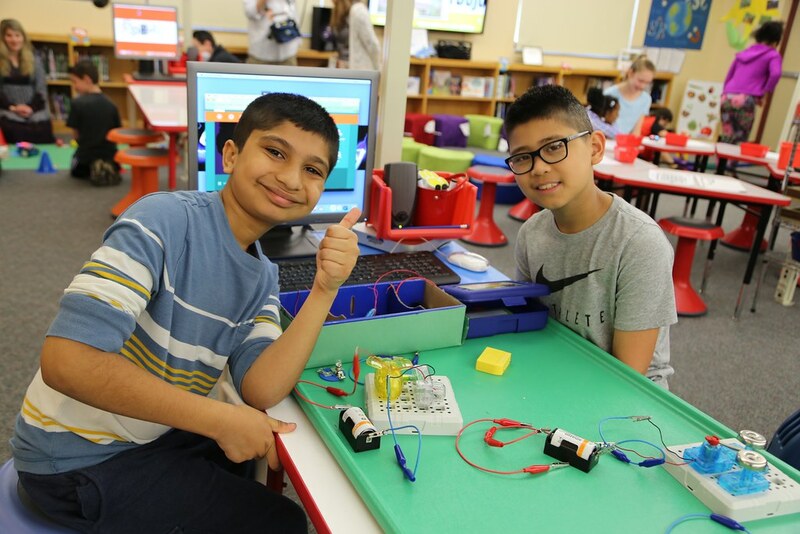 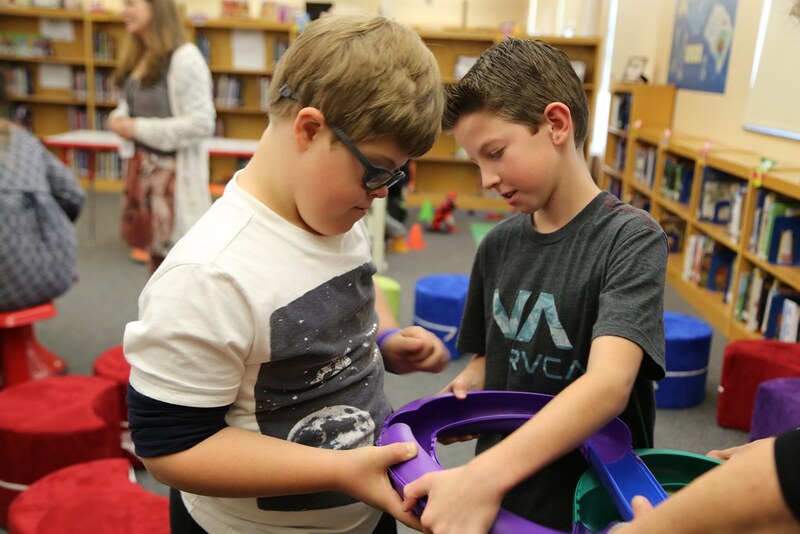 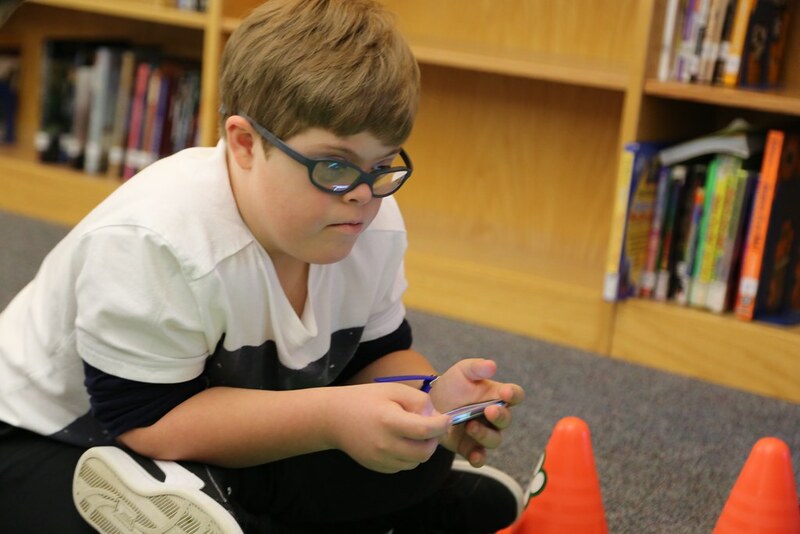 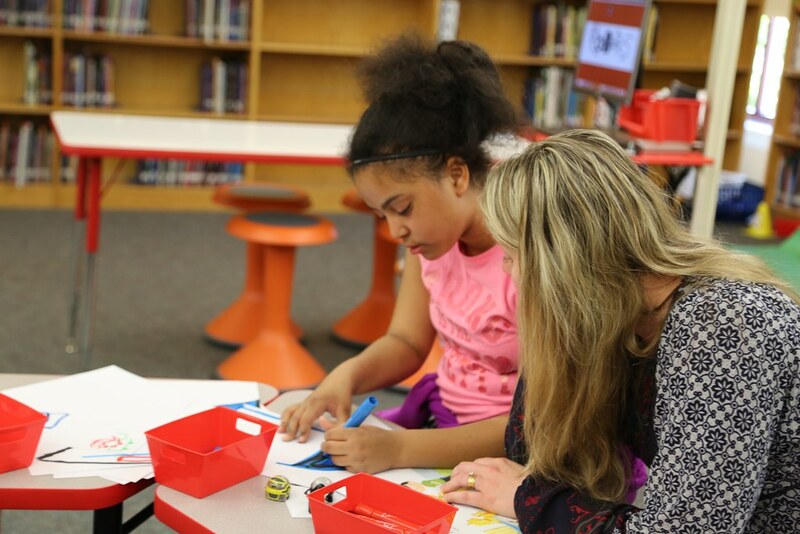 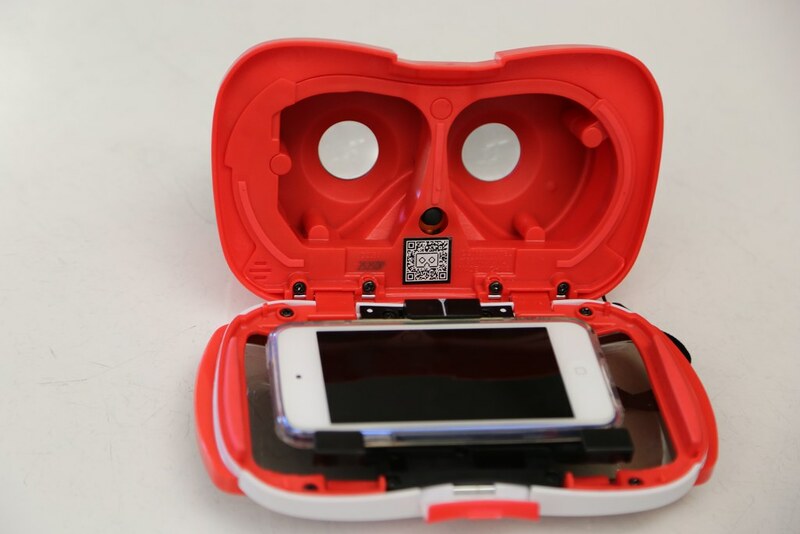 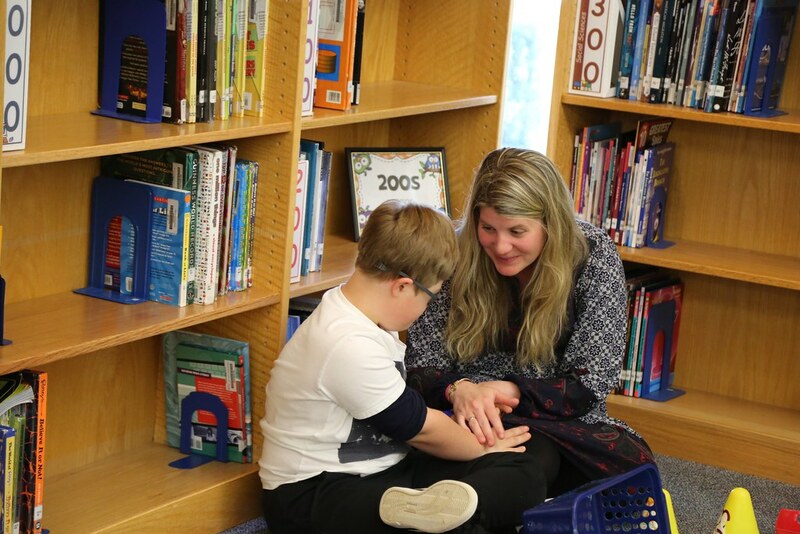 After the special education students become "experts" in each Innovation Station, they invite their general education peers to a special program, “Peer Buddies”, where they will share their knowledge and understanding. 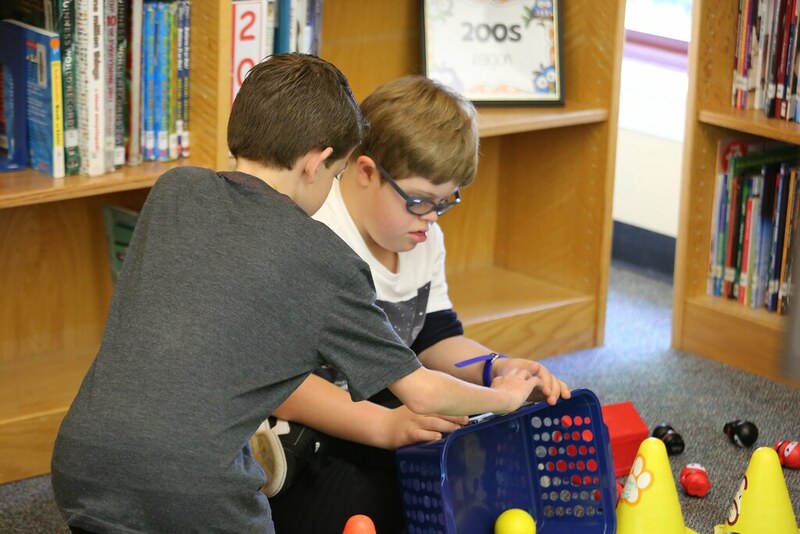 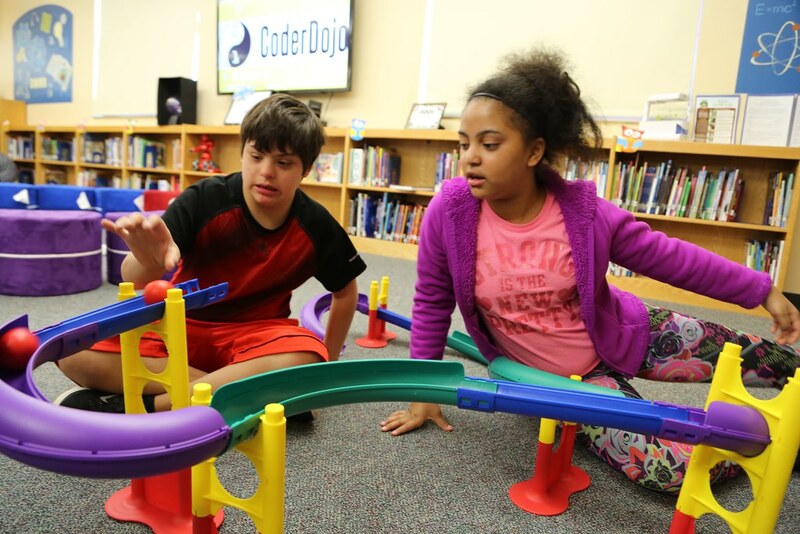 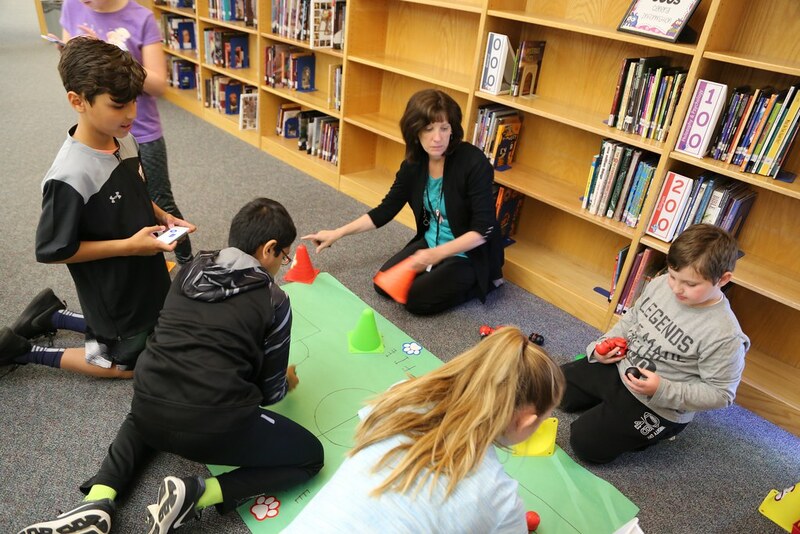 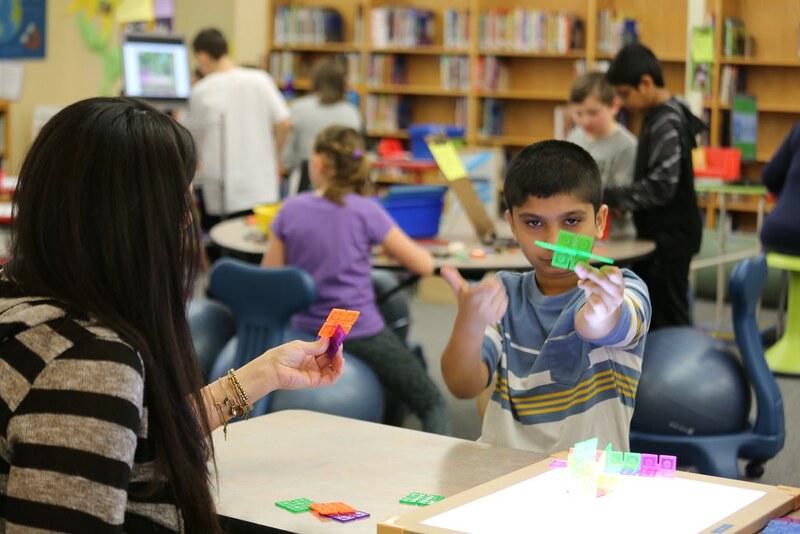 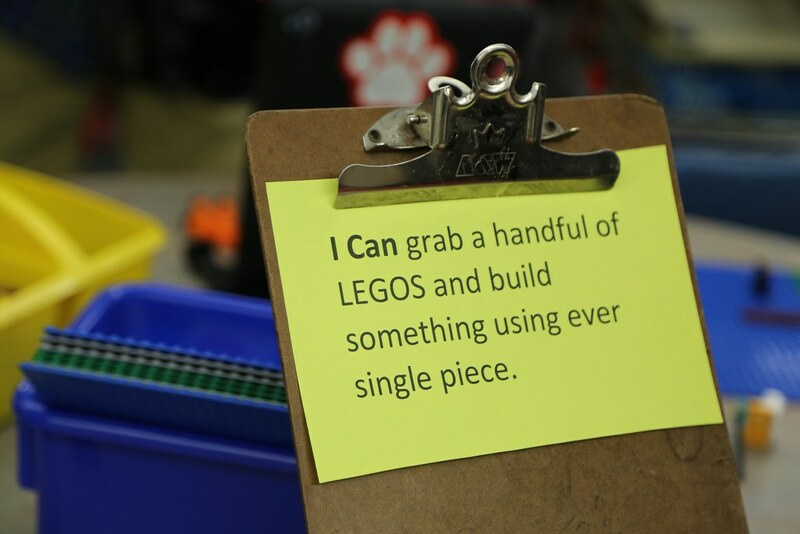 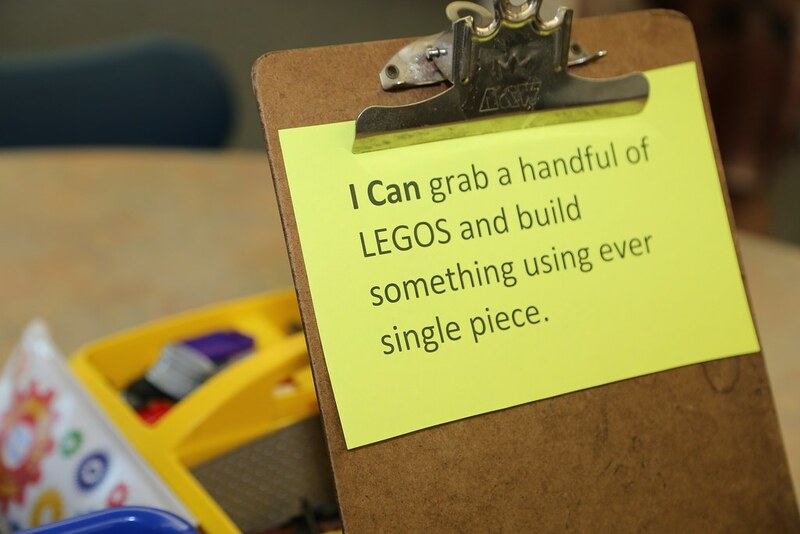 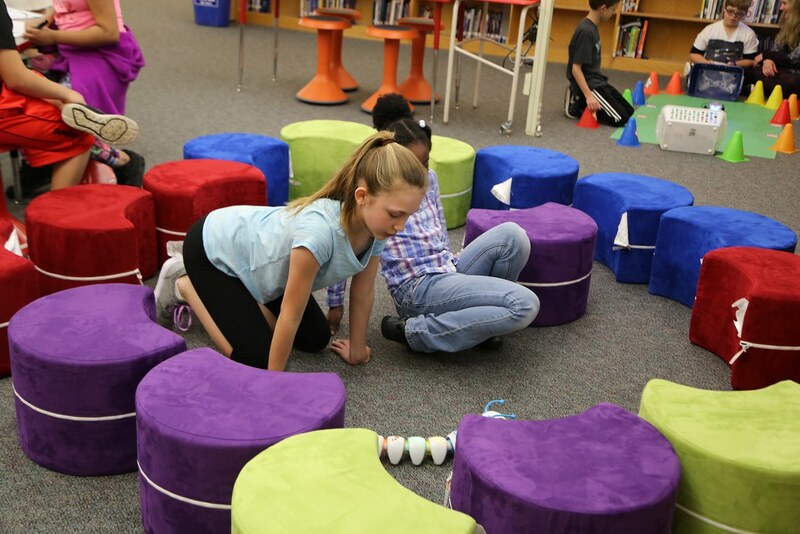 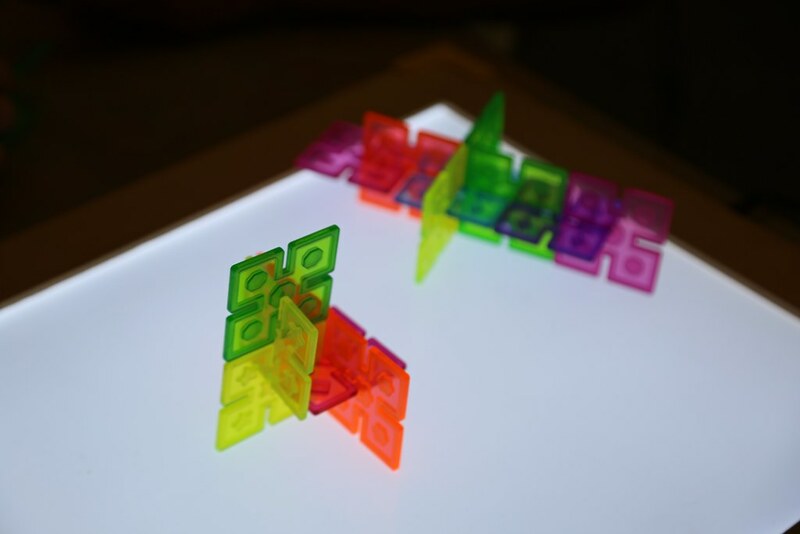 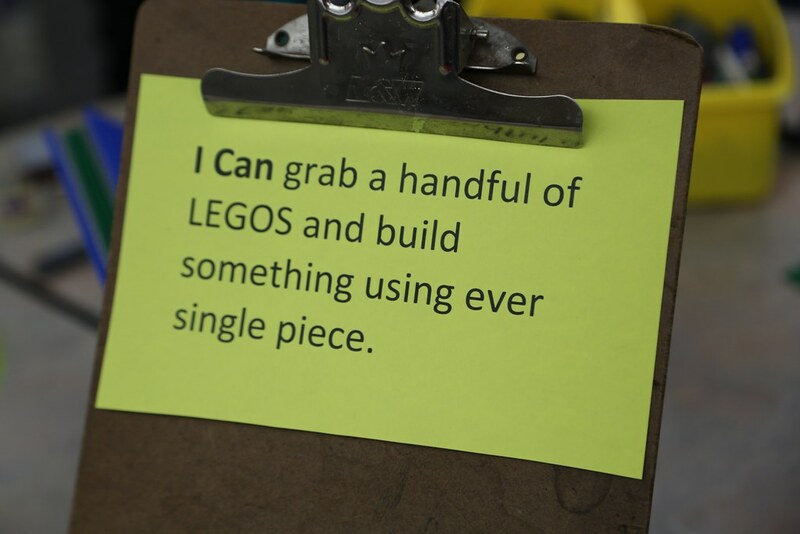 These inclusive experiences provide students with the opportunity to work collaboratively, build teamwork skills, develop vocabulary, and problem solve.